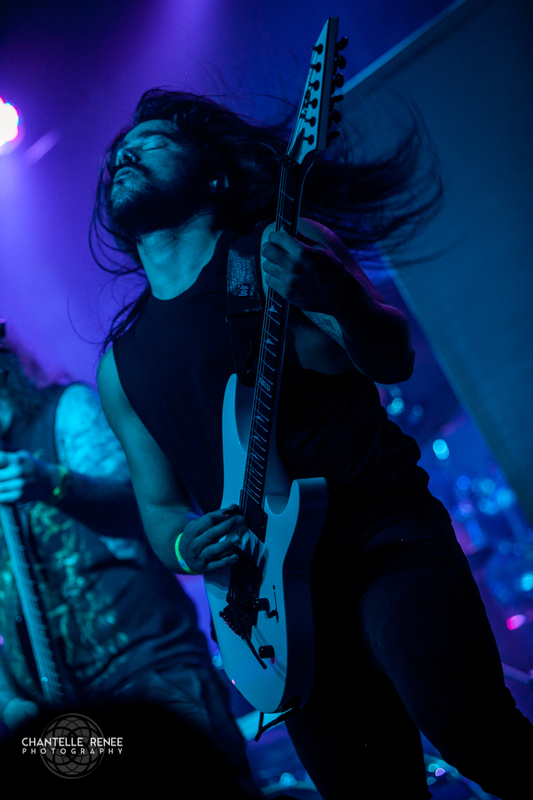 Bearing easily the most stacked lineup I’d seen in ages, the 4th annual Fort Worth Metal Fest began early in the afternoon at The Rail Club, with multiple locals opening before Seeker, Thy Antichrist, Dark Funeral, and Septicflesh took to dominating the stage. 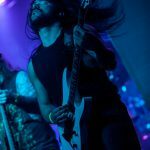 Of Dallas origin, the 3 piece crusty progressive and chaotic metal act SEEKER signified the beginning of a tone shift for the evening. 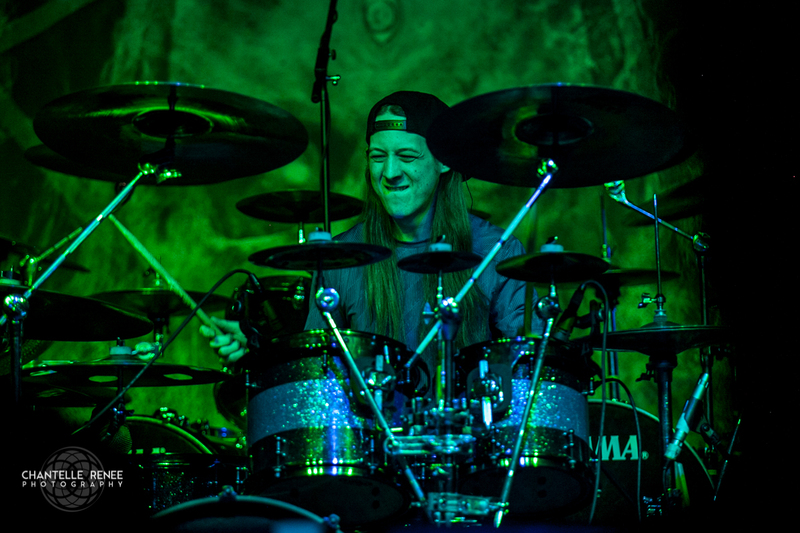 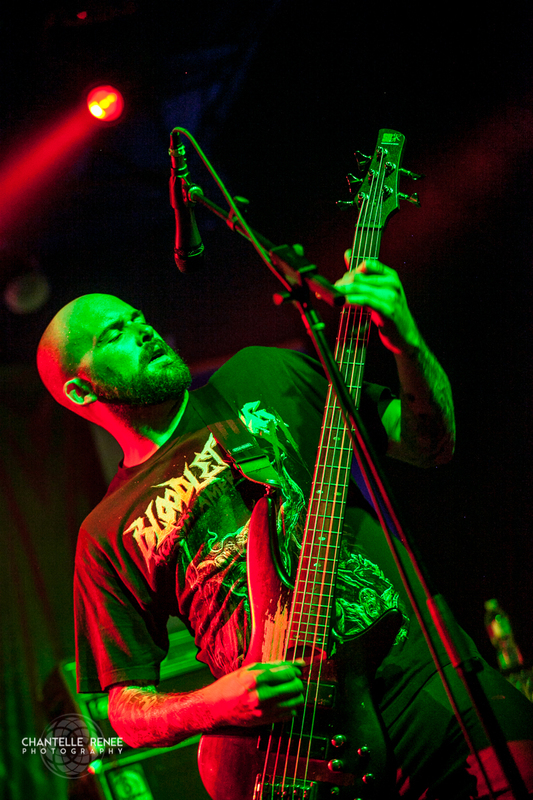 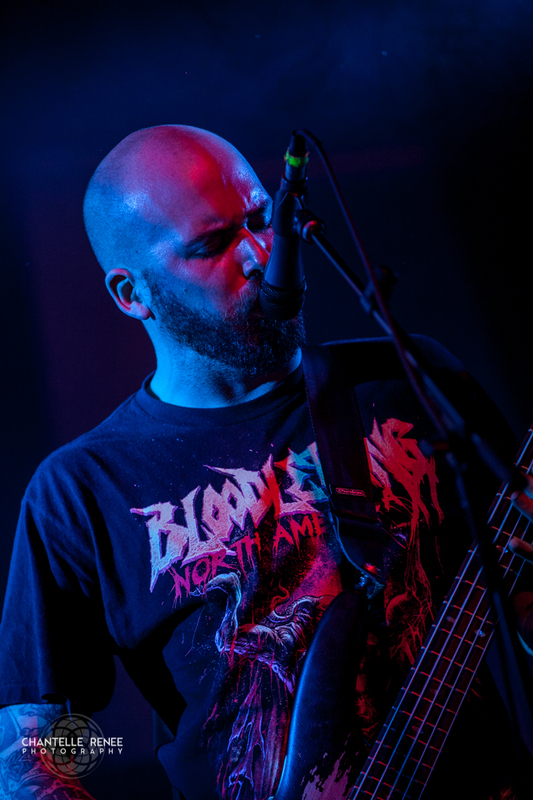 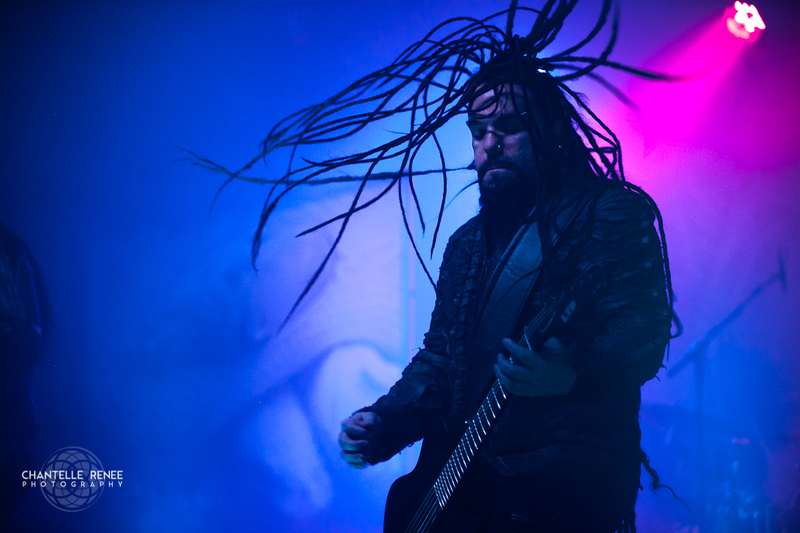 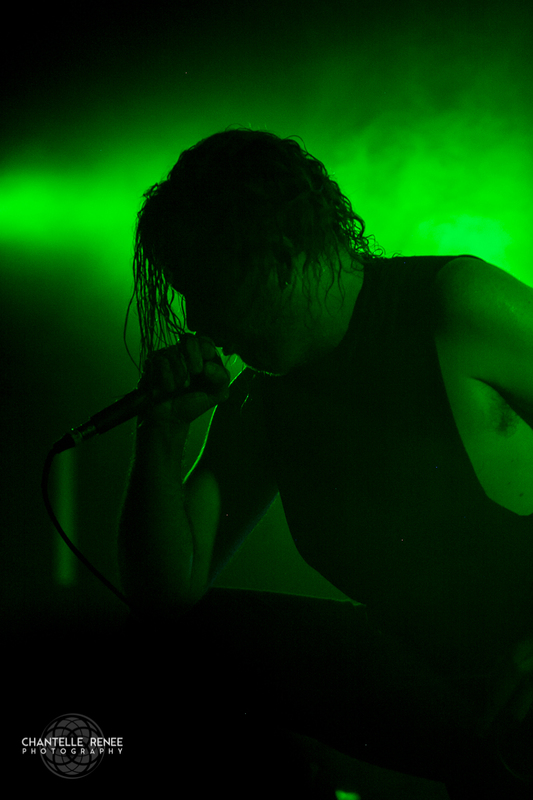 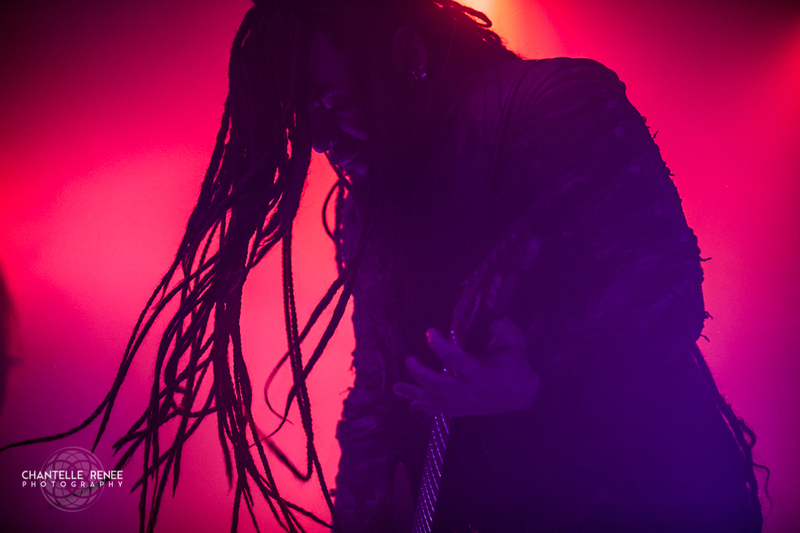 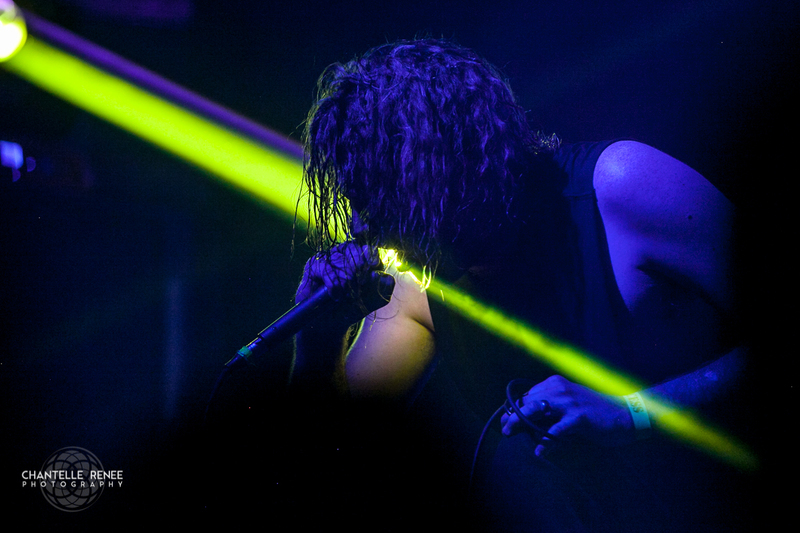 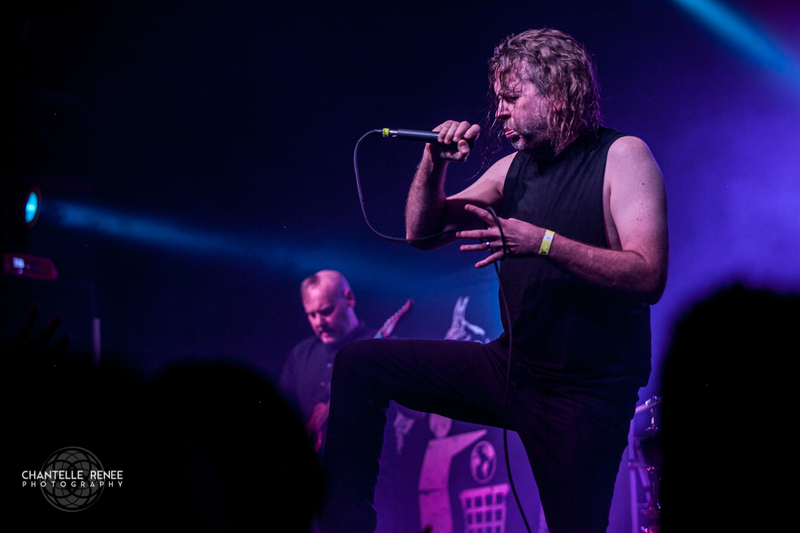 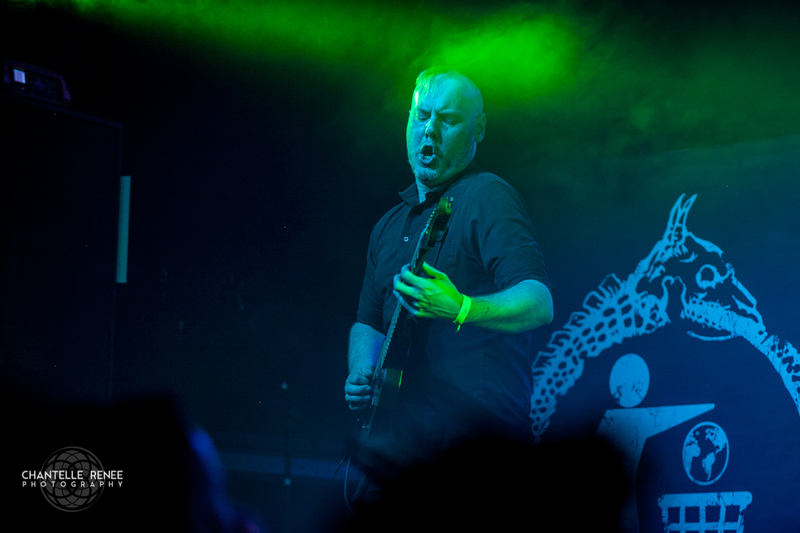 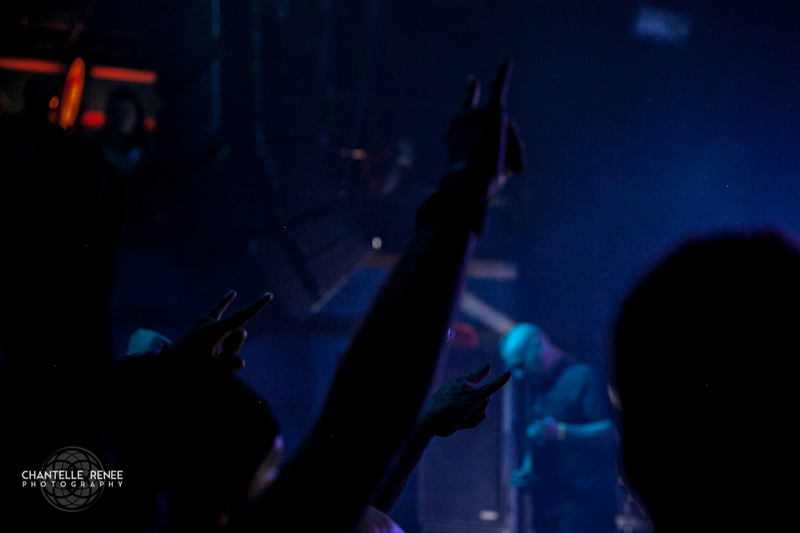 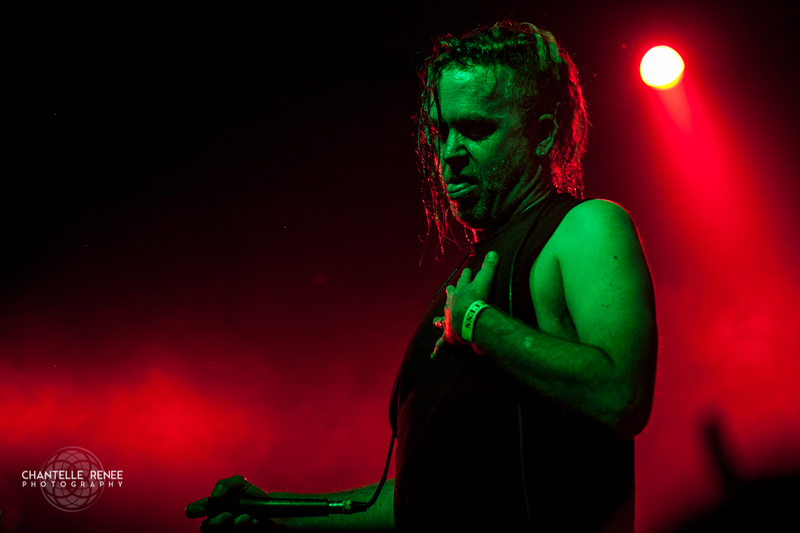 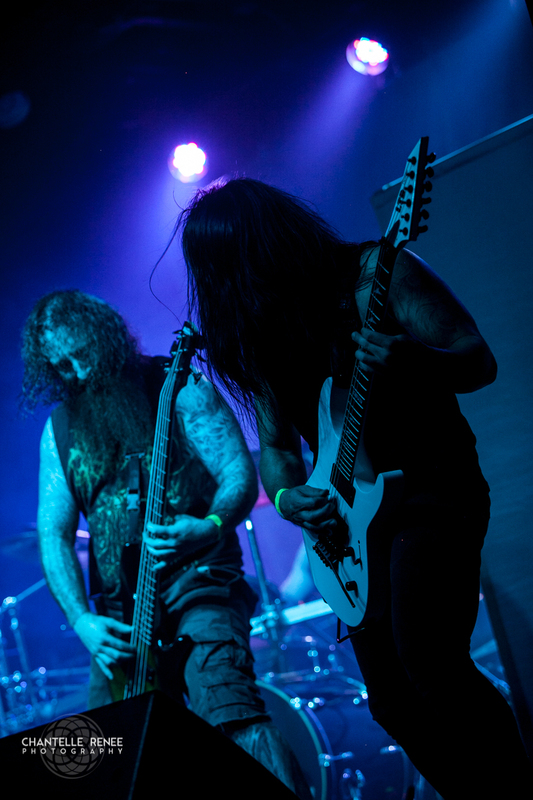 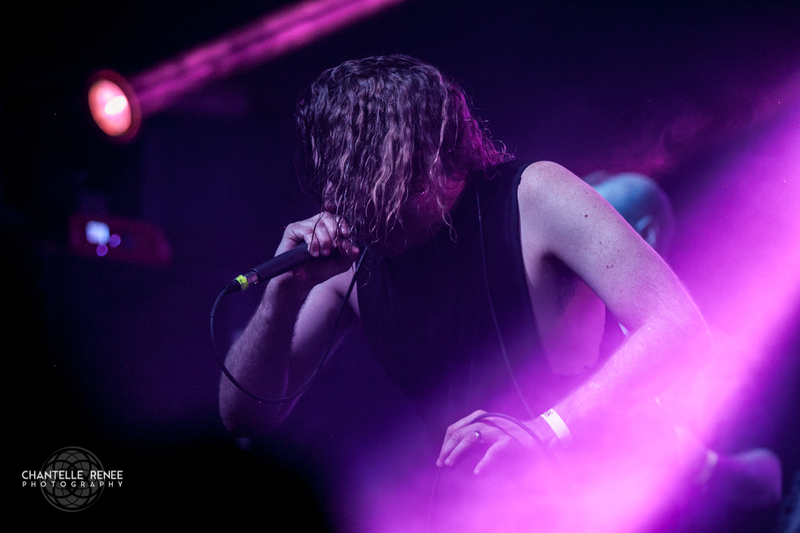 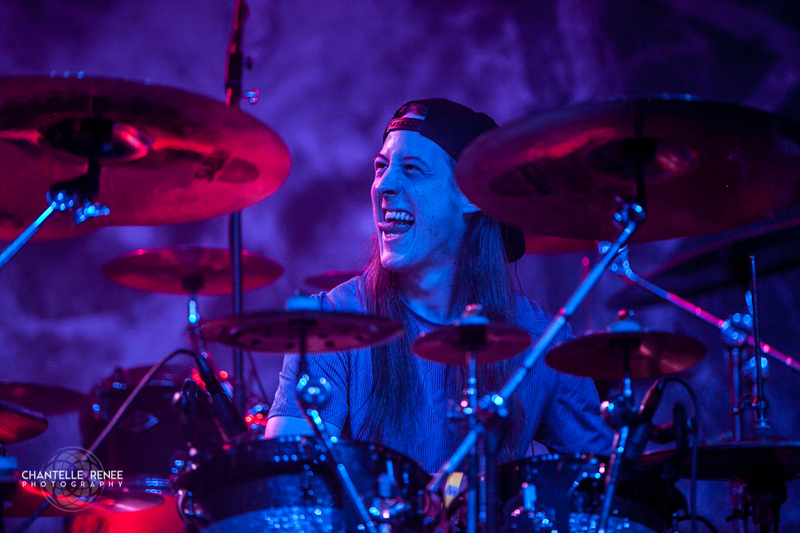 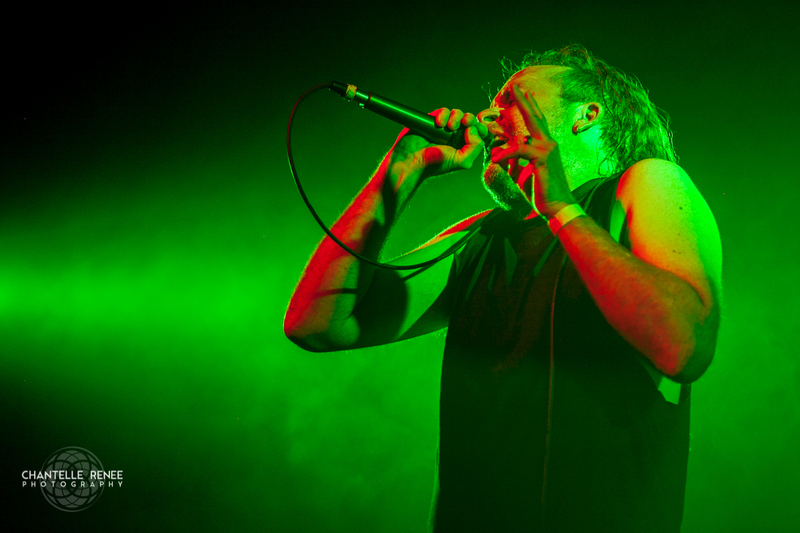 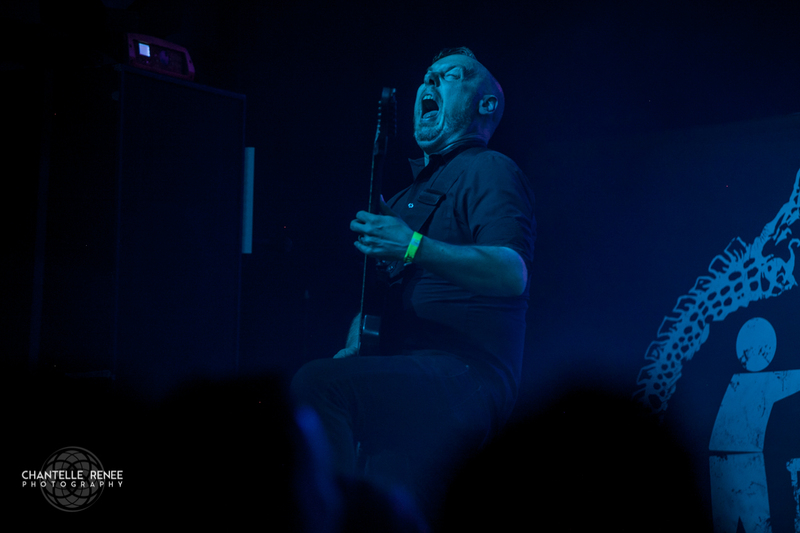 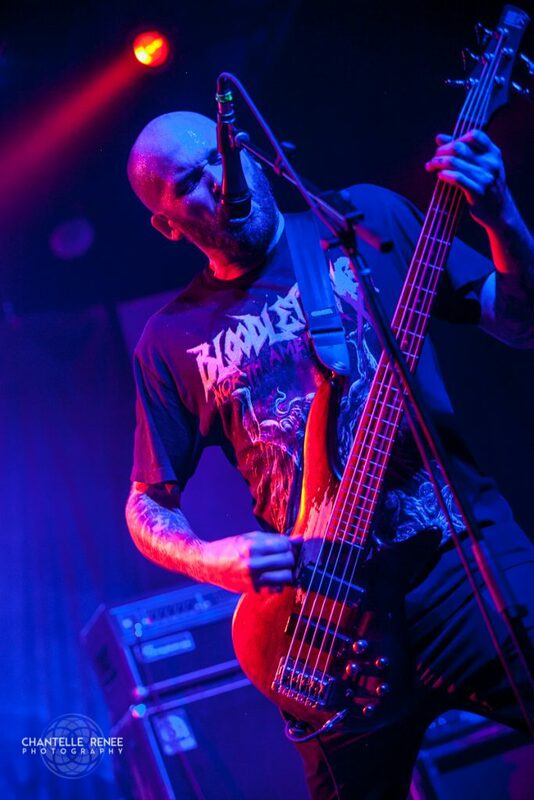 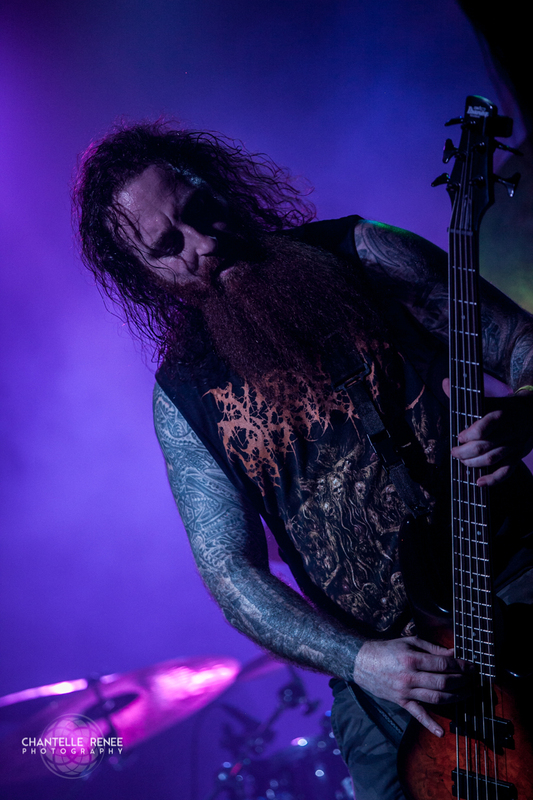 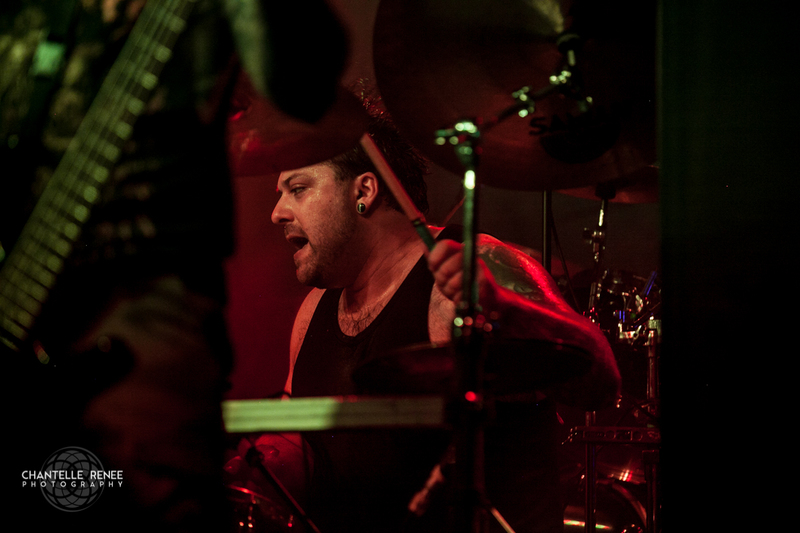 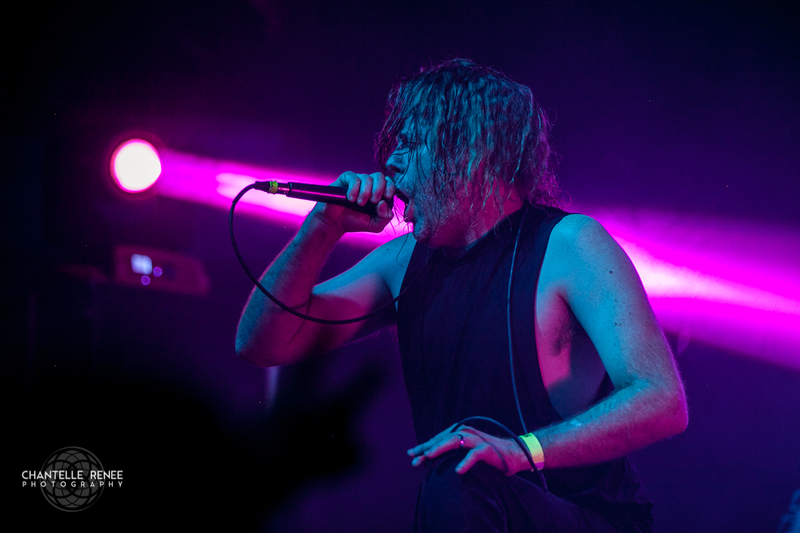 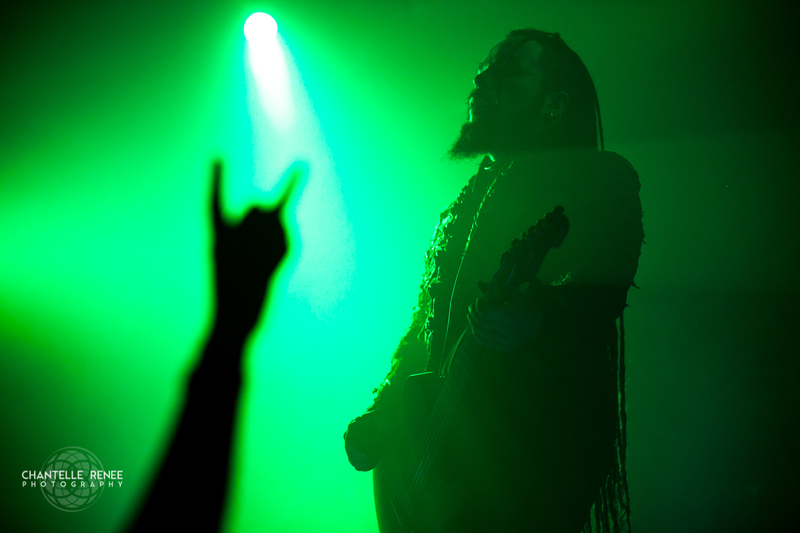 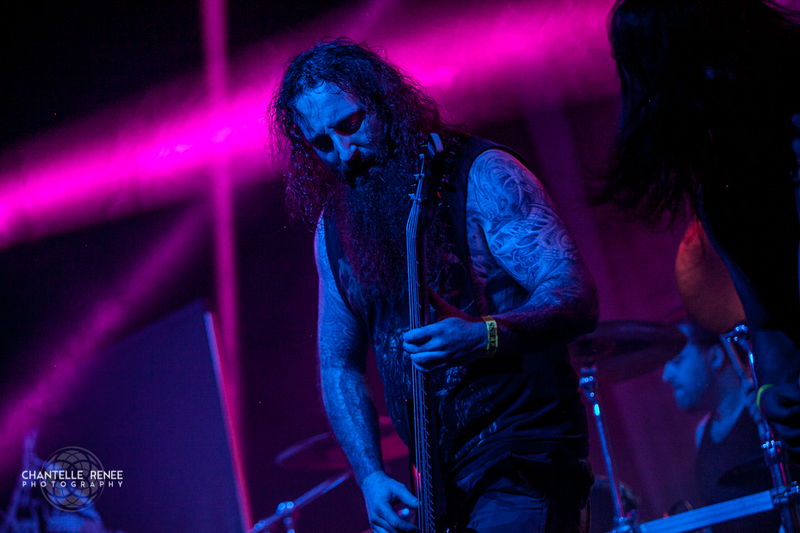 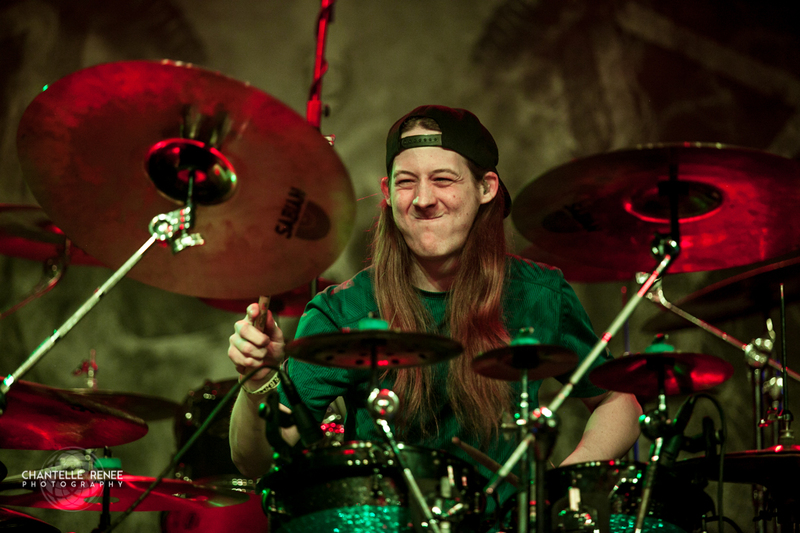 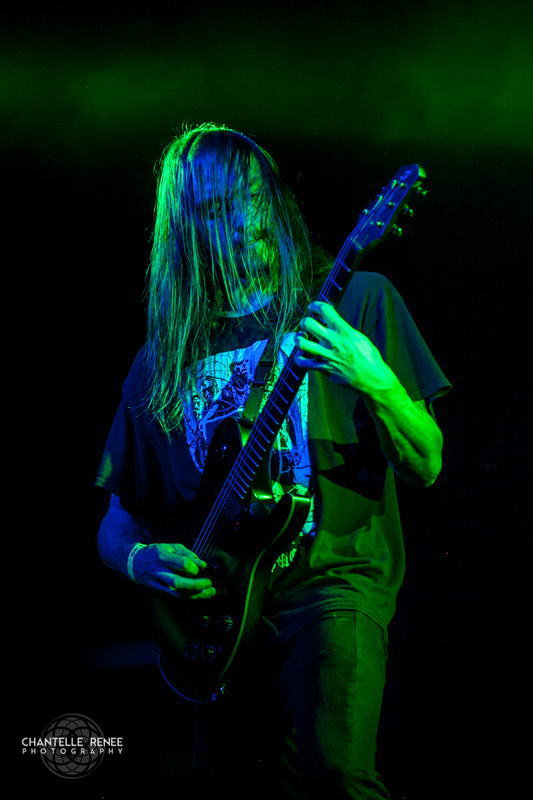 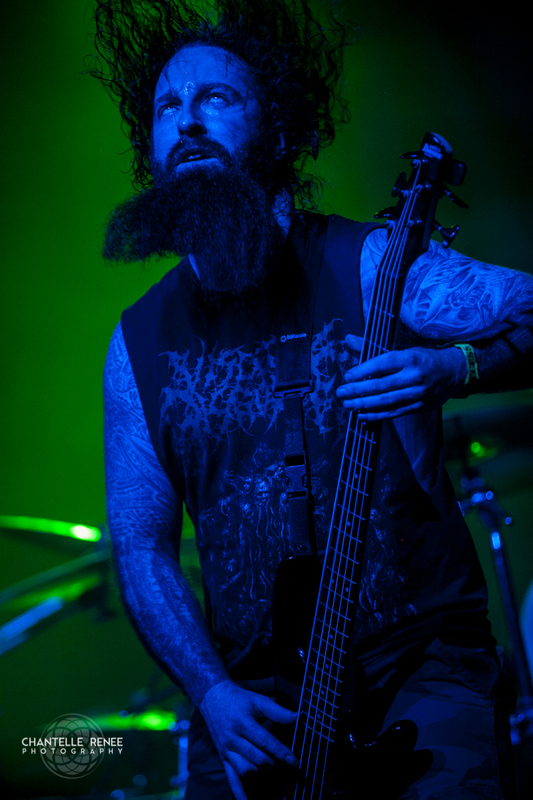 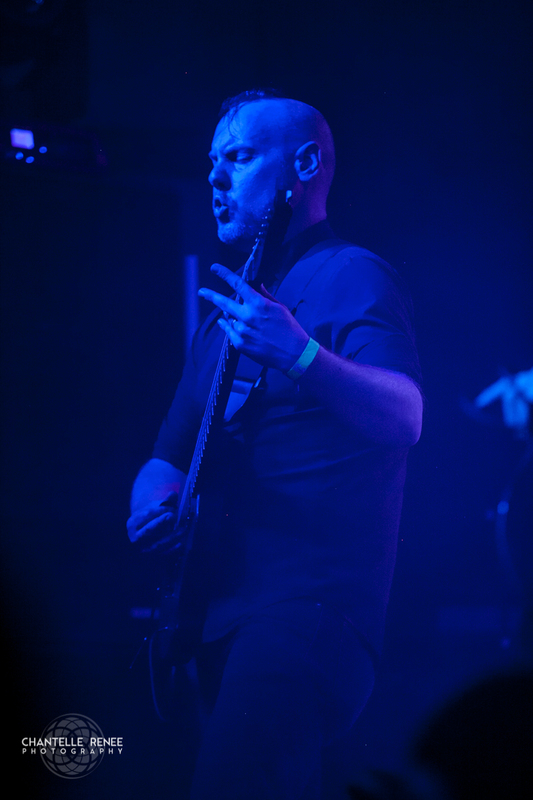 Vocalist Bryce Lucien fronted the band simultaneously as two pieces, bringing the insanity of both the throat and the prominent, roaring bass to life. 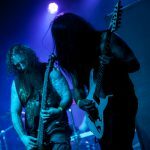 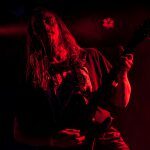 The flow of Seeker’s music is both fluid and polar; where at times they weave between dark melody and powerful hooks, other moments they find themselves moving from long atmospheric ringouts to high intensity blasts paired with grinding vocals. 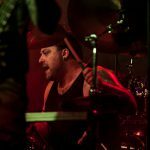 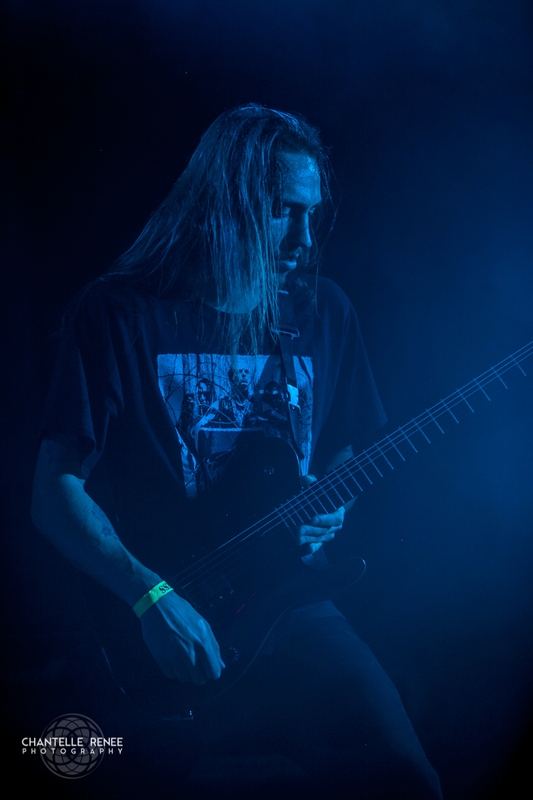 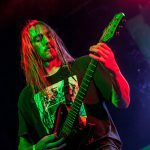 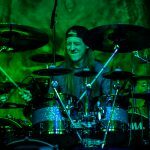 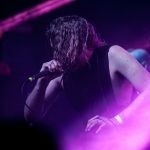 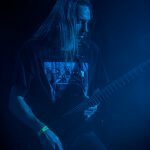 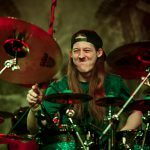 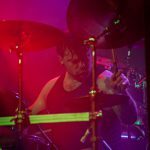 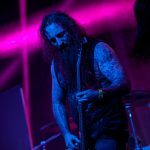 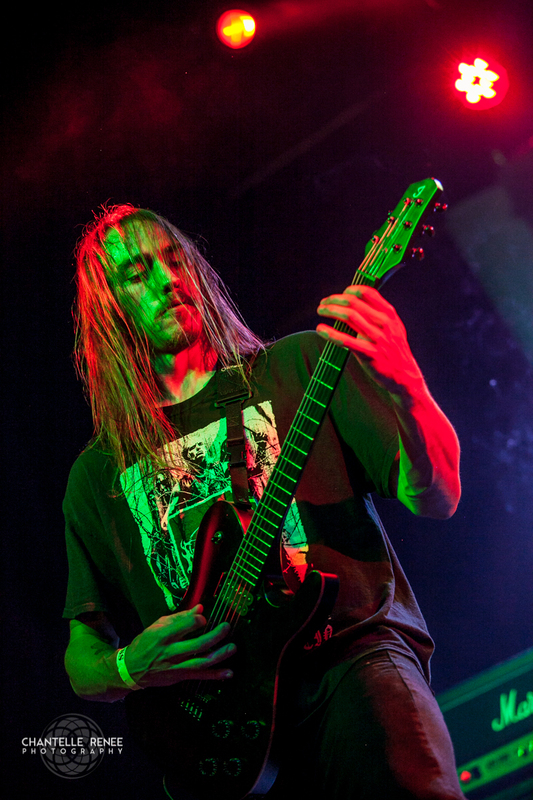 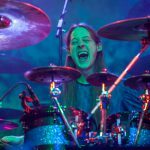 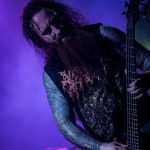 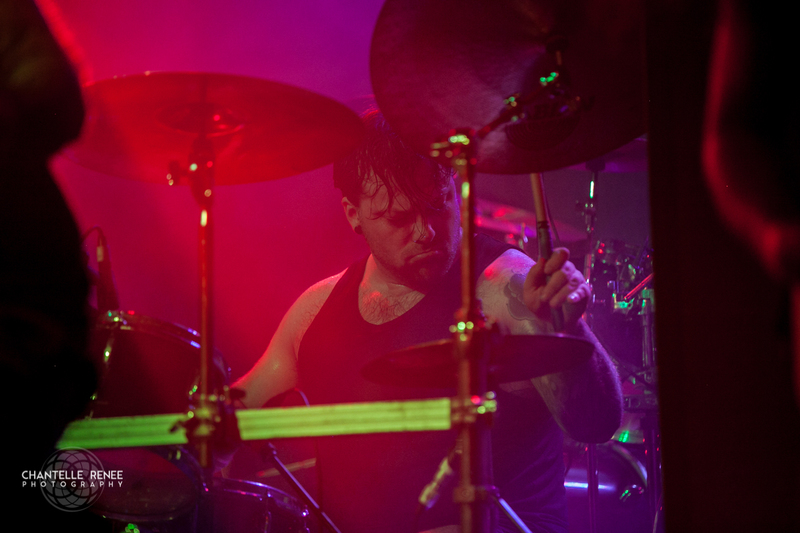 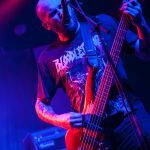 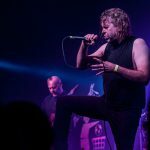 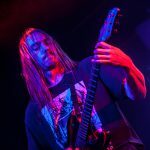 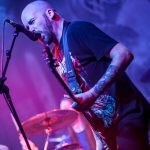 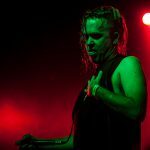 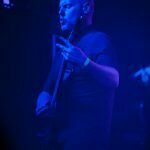 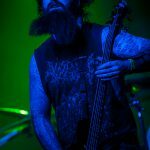 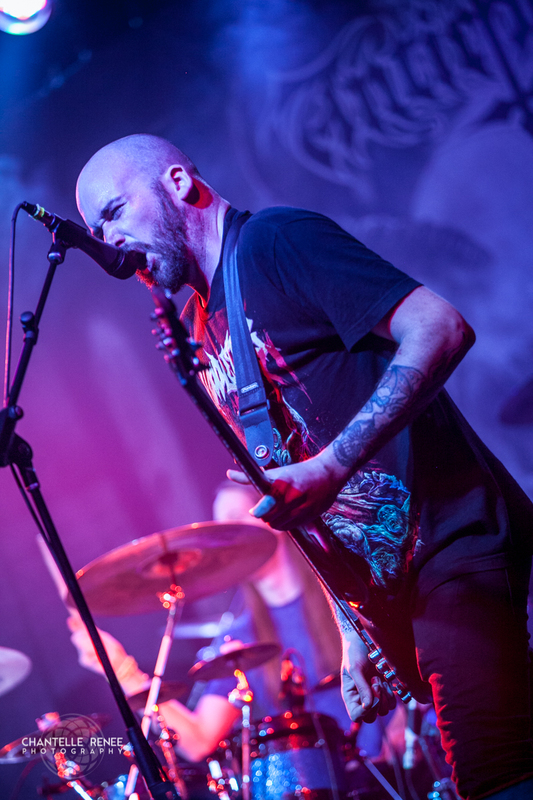 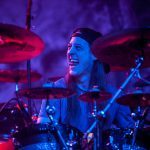 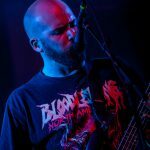 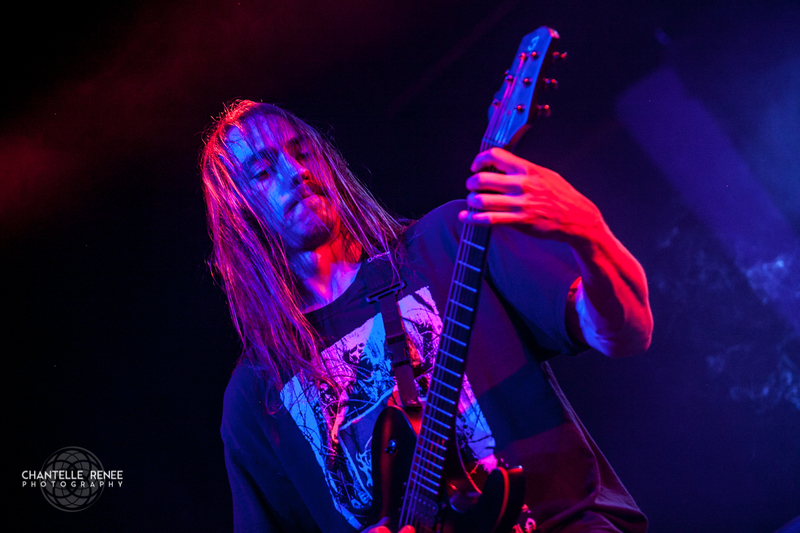 Seeker was welcomed back warmly as their drummer, Bryce Butler, (at the time still performing with The Faceless and now Abigail Williams) took the stage and basked in the love of the locals. 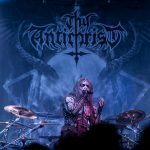 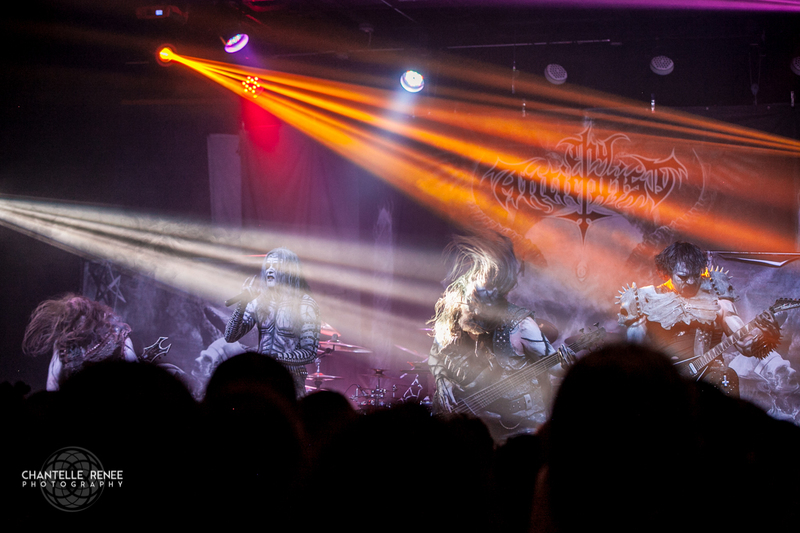 The night took an even darker turn as Dallas based blackened death metal band THY ANTICHRIST began their trek to the stage. 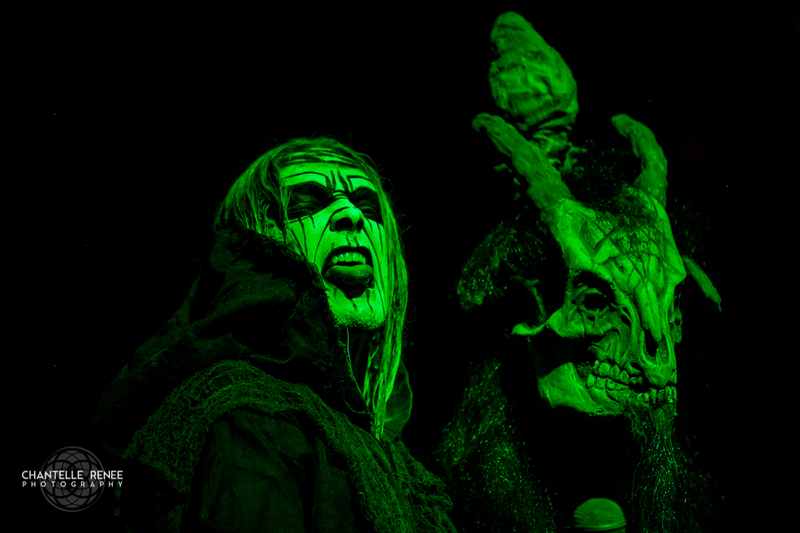 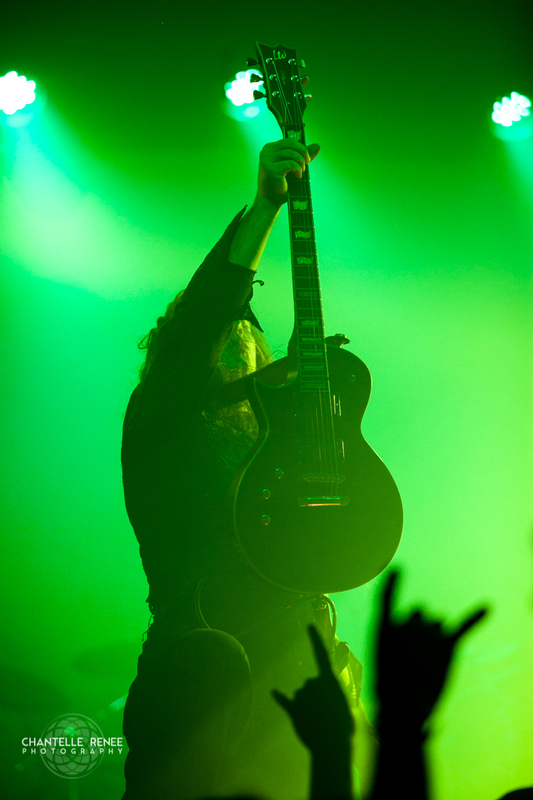 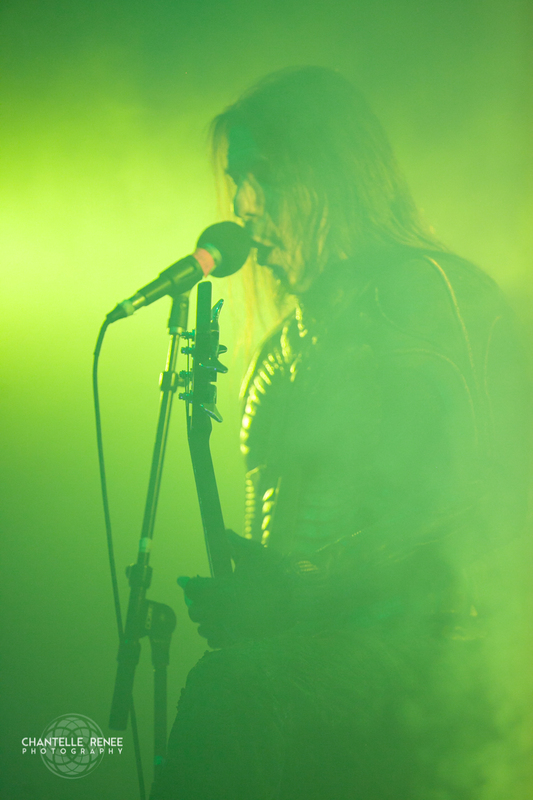 Draped in dark hooded robes, vocalist Andrés Vargas brandished a sceptre ornamented with a goat’s head and used it to conduct the atmosphere onstage. 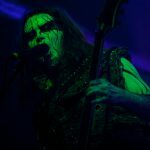 The rest of the band was similarly adorned in corpse paints and armors, and slowly removing his hood, the robe fell to the floor to display his entirely covered painted upper body. 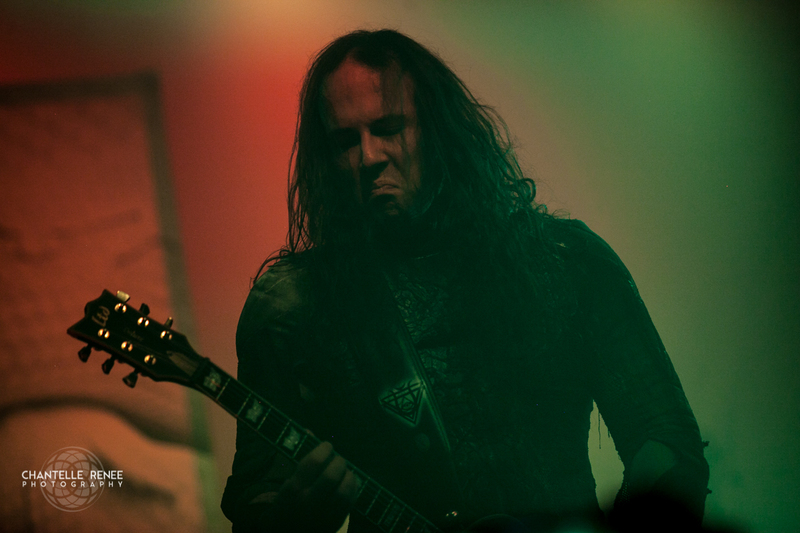 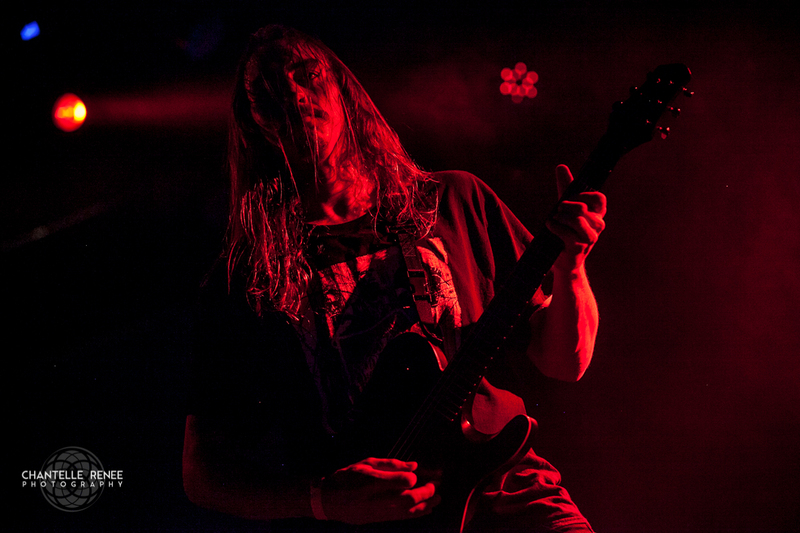 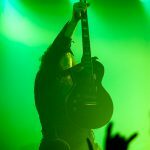 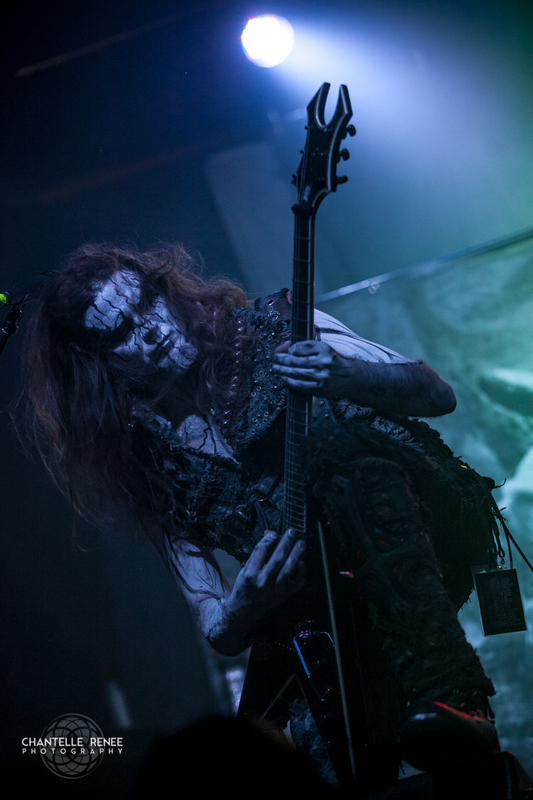 Windmilling through most of the set, the traditional black metal slow blasts peppered the set amongst the solid guitar leads and riffs with eerie sound clips splitting the songs up. 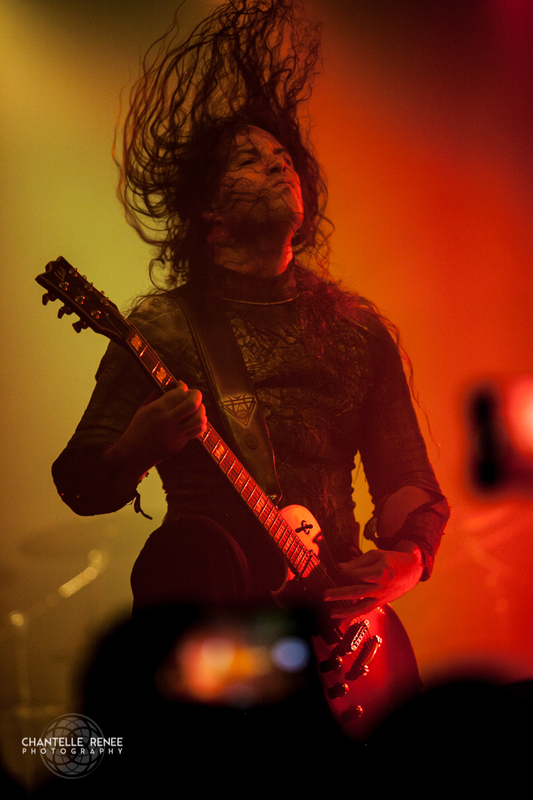 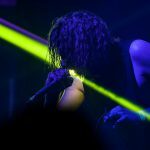 Catchy and evil sounds reverberated through the venue as blood poured from the mouth of Andrés, windmilling consecutively for minutes as they pushed on through their performance. 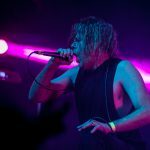 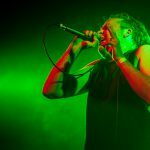 A less blackened but equally as intense followup, death grind kings CATTLE DECAPITATION flew straight into their set at blinding speed. 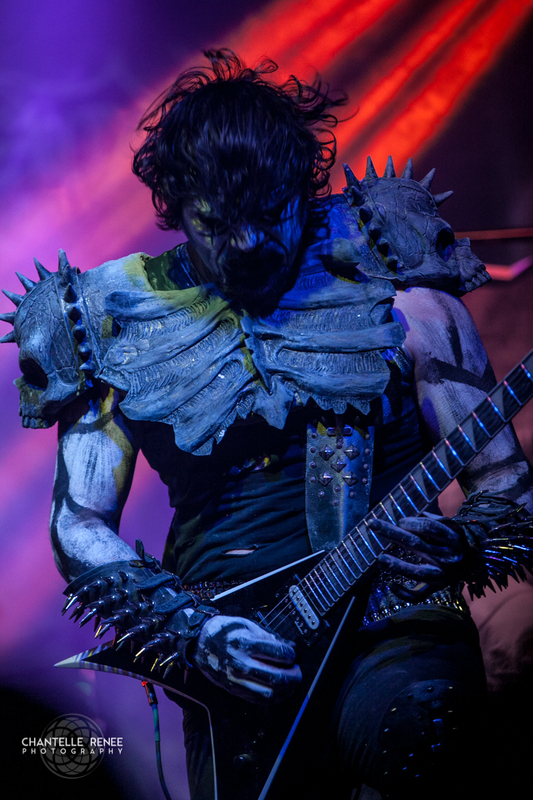 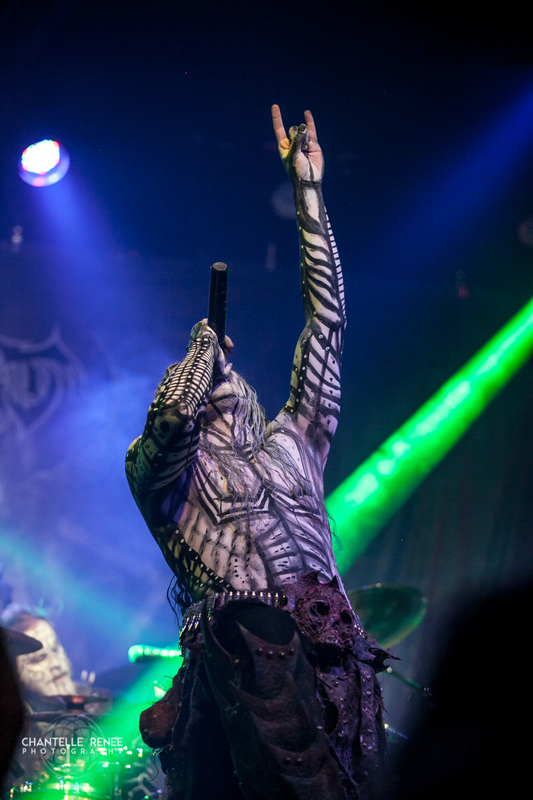 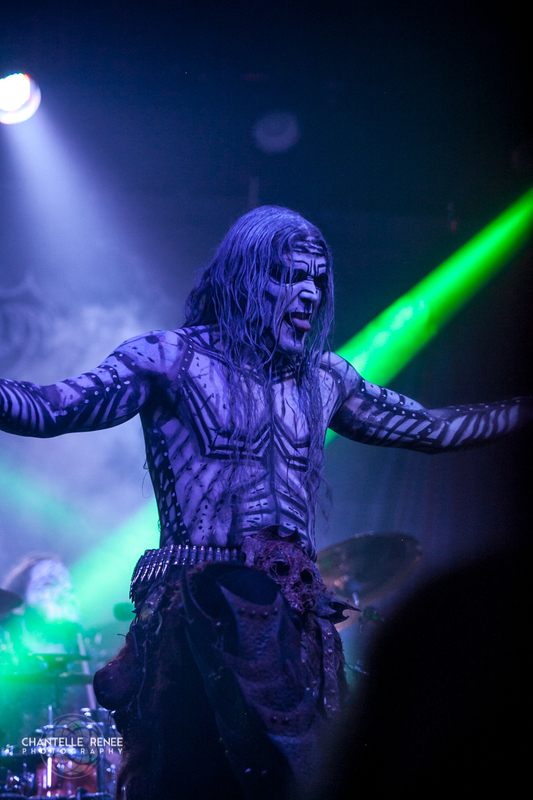 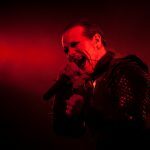 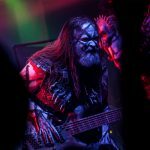 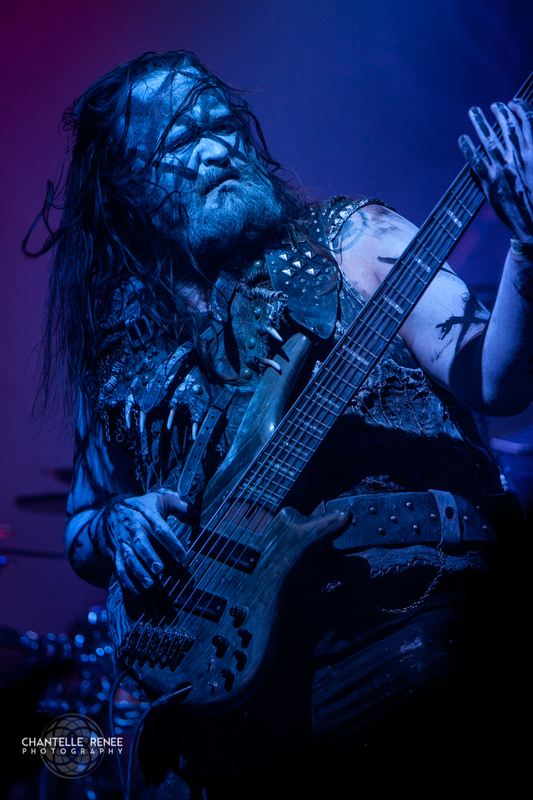 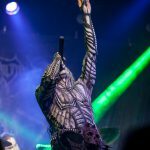 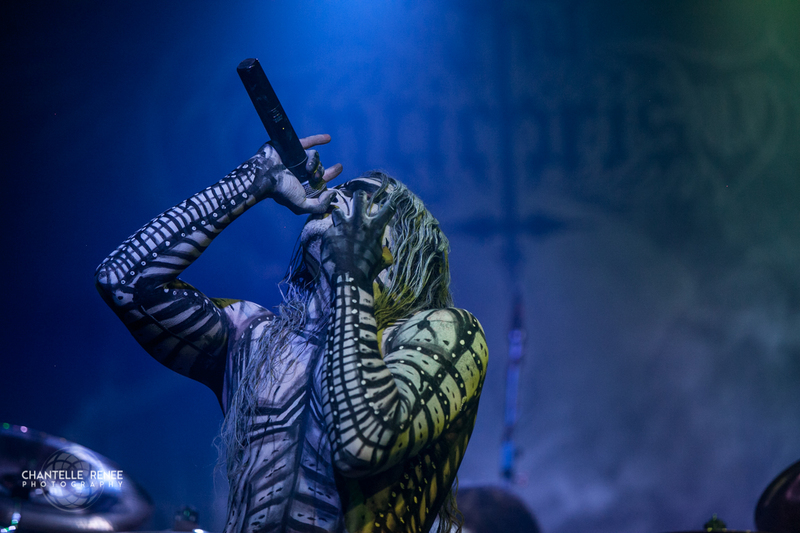 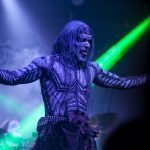 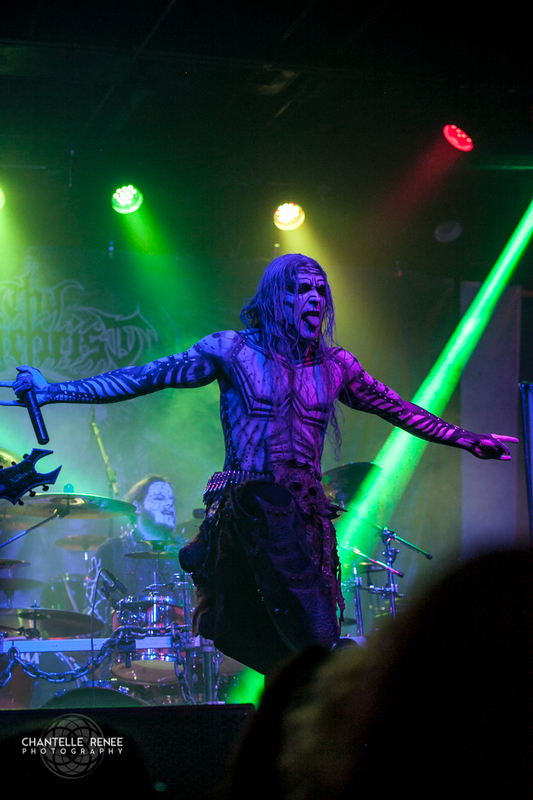 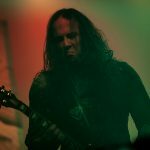 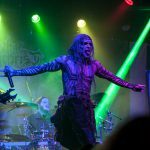 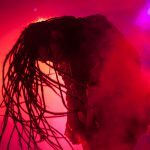 A haunting string introduction spewed from the PA as they took the stage and jumped into The Carbon Stampede, with vocalist Travis Ryan bringing forth his horrifying and disgusting stage antics in between his bar none live performance. 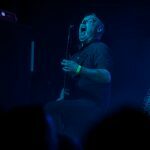 Despite having seen them quite a few times recently, Cattle’s live performance still manages to floor me, be it the almost unbelievably fast drums courtesy of David McGraw, blurred fingers of or just the sheer animalistic fury they seem to exert upon the audience. Fitting as it may sound, animalistic fury is the best description for this mainly vegan / anti human themed metal force to be reckoned with, as all members (Travis mainly) behave almost inhumanly, whether it be shooting snot rockets into the air and catching them or screaming at an unfathomably high pitch for a grown man – many of today’s great metal vocalists refer to Cattle as the pinnacle of live vocals for reasons demonstrated here. 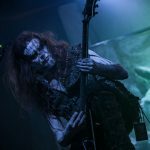 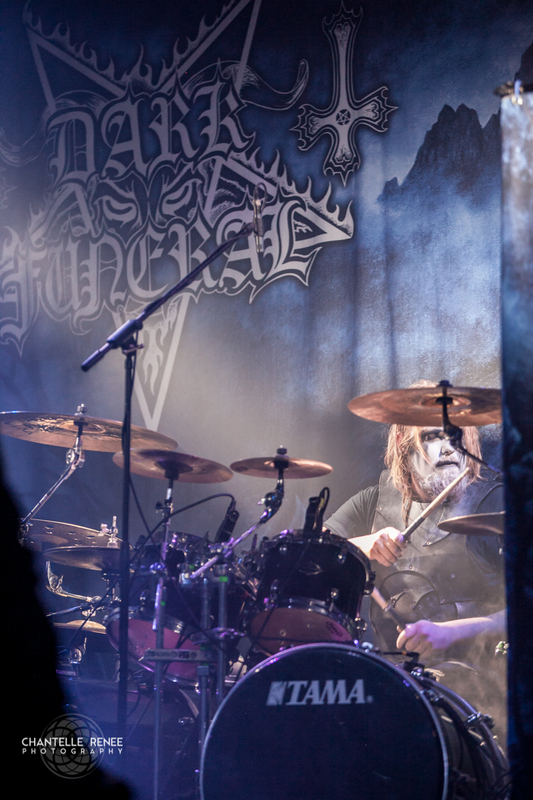 After a lengthy intermission, Sweden’s “Ineffable kings of black metal”, DARK FUNERAL, set up scrims featuring art from their latest masterpiece, Where Shadows Forever Reign. 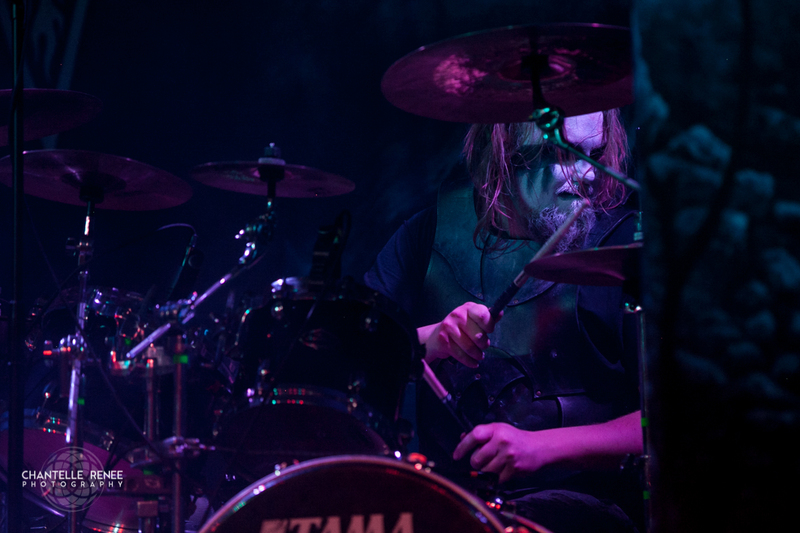 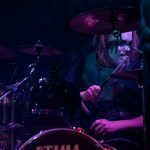 Powerful war drums played over the PA and anticipation built as the black metal atmosphere returned tenfold – a skill honed since their inception in 1993. 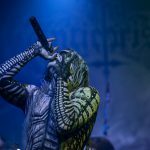 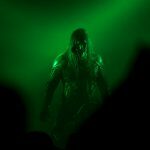 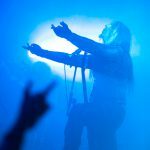 As vocalist Heljarmadr took the stage, all of their deliberate movements only sold the intimidating and somber composure that much more. 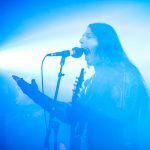 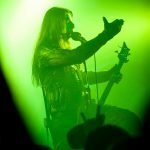 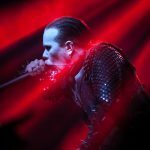 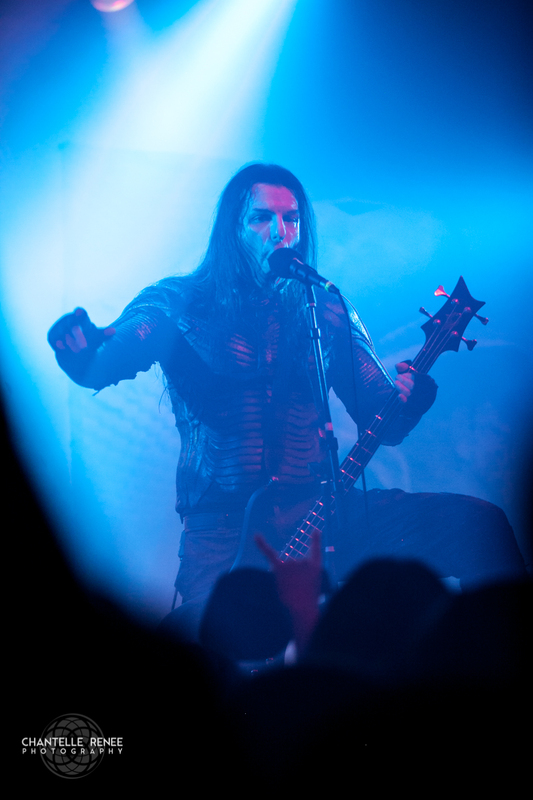 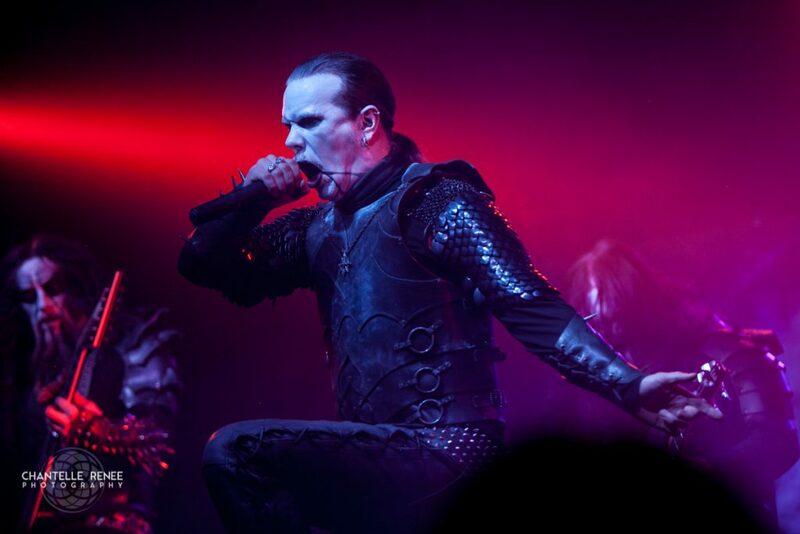 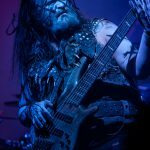 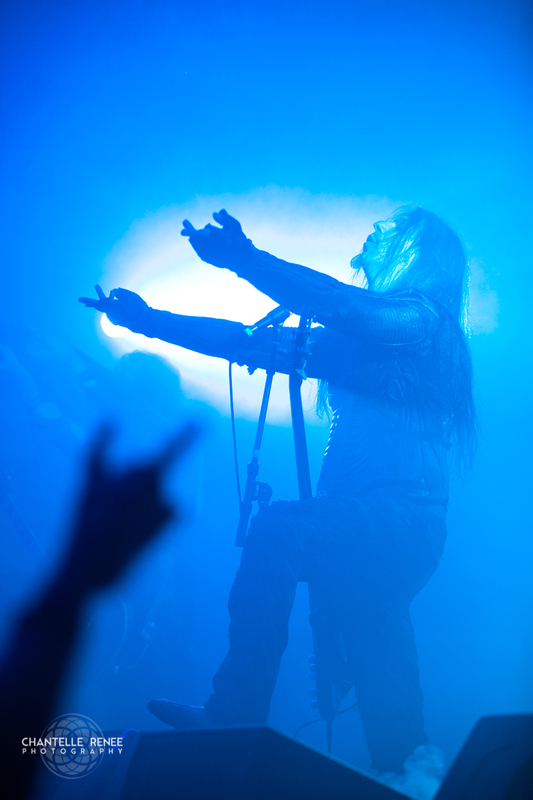 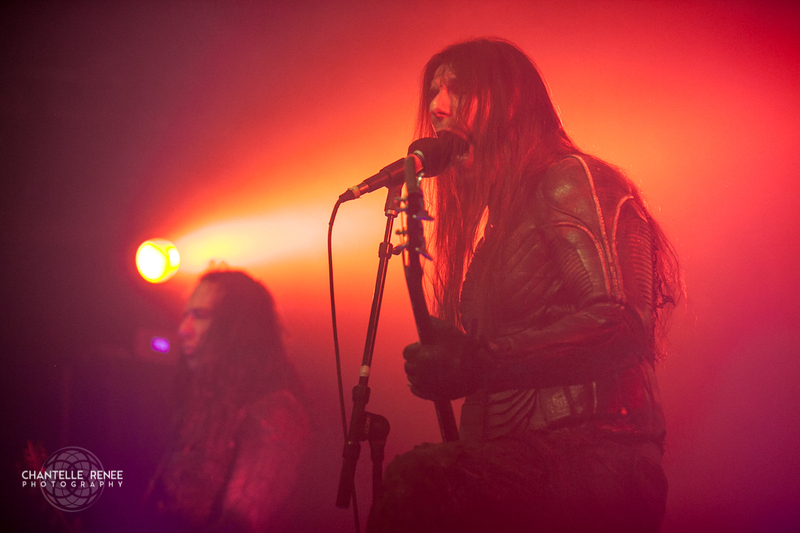 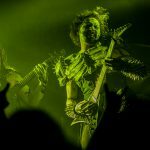 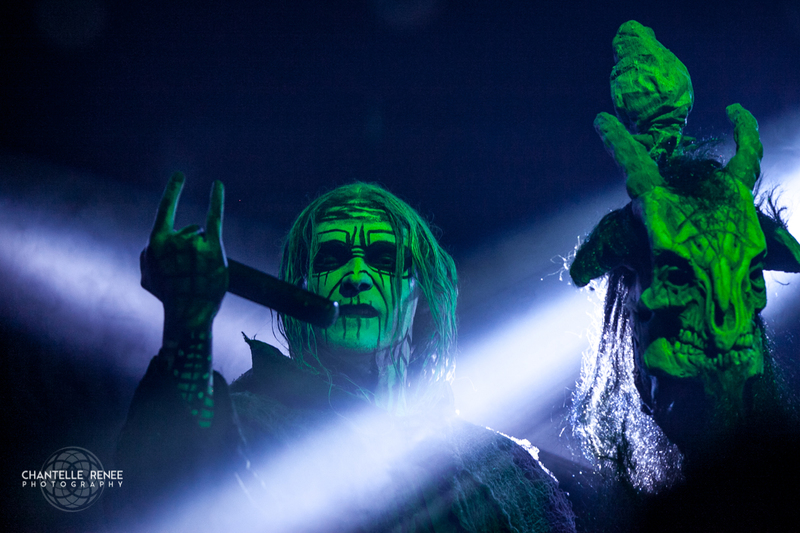 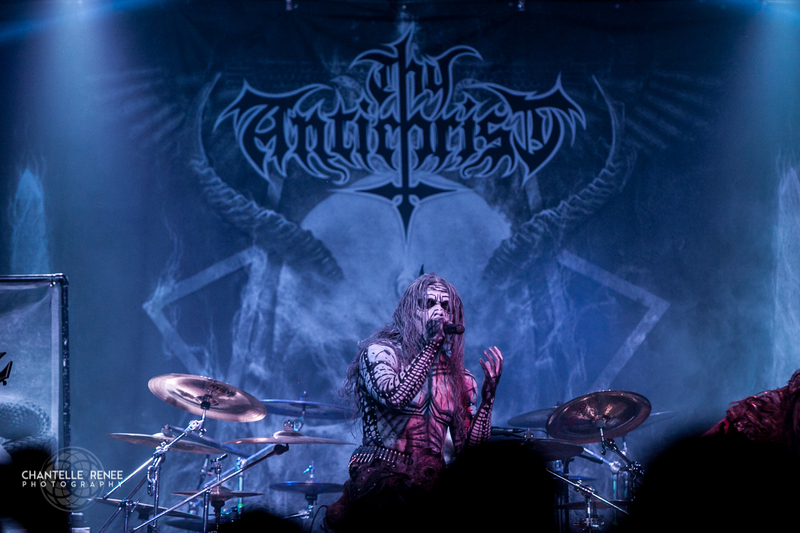 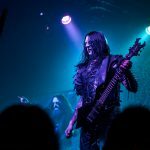 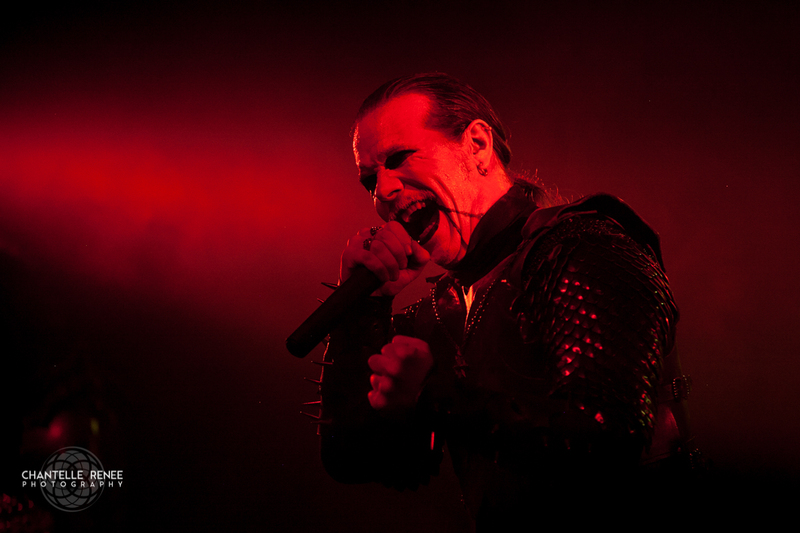 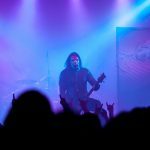 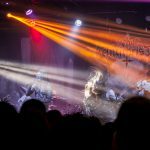 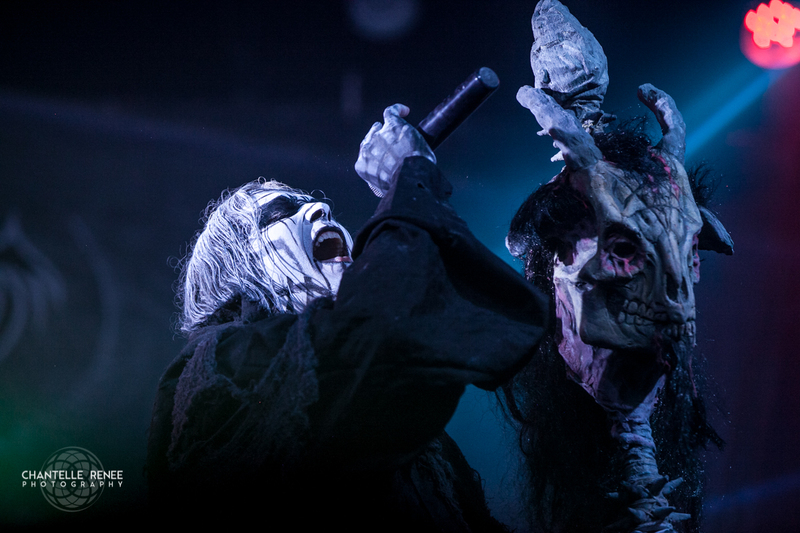 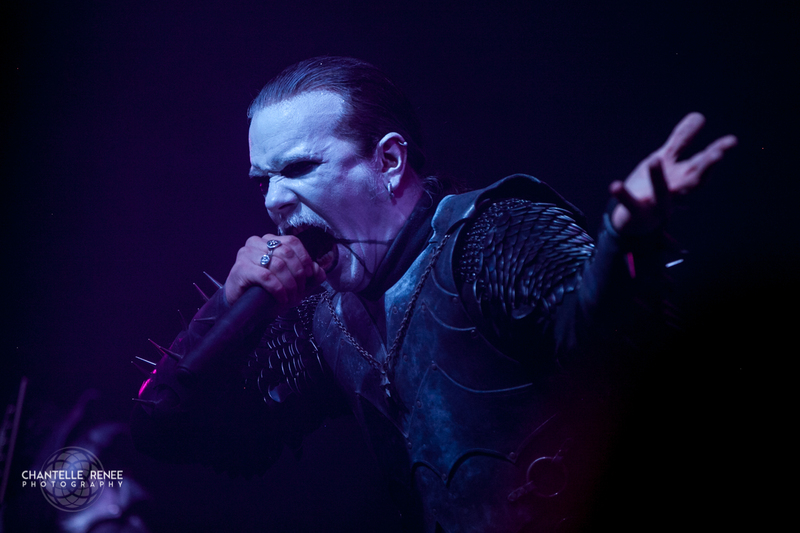 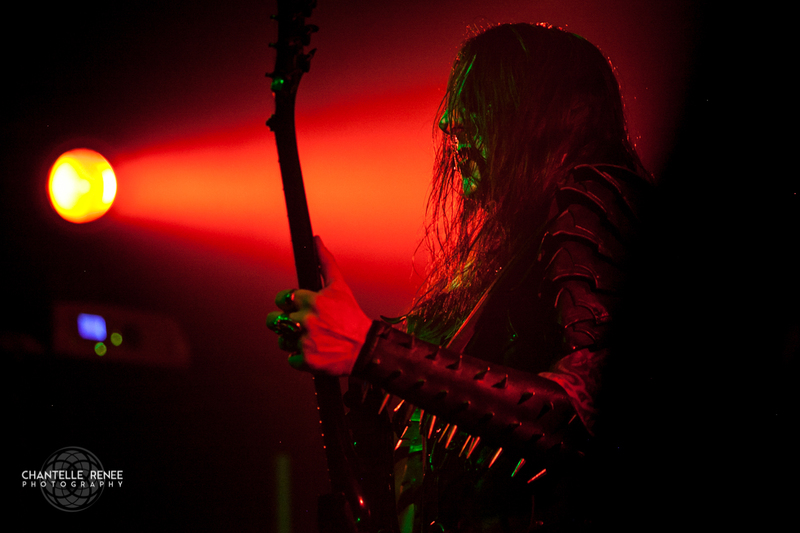 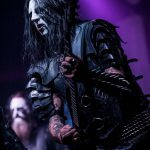 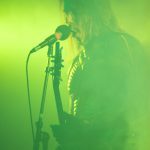 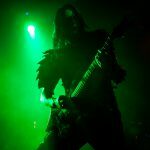 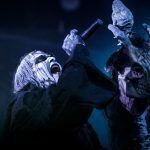 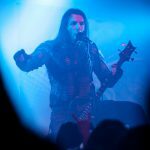 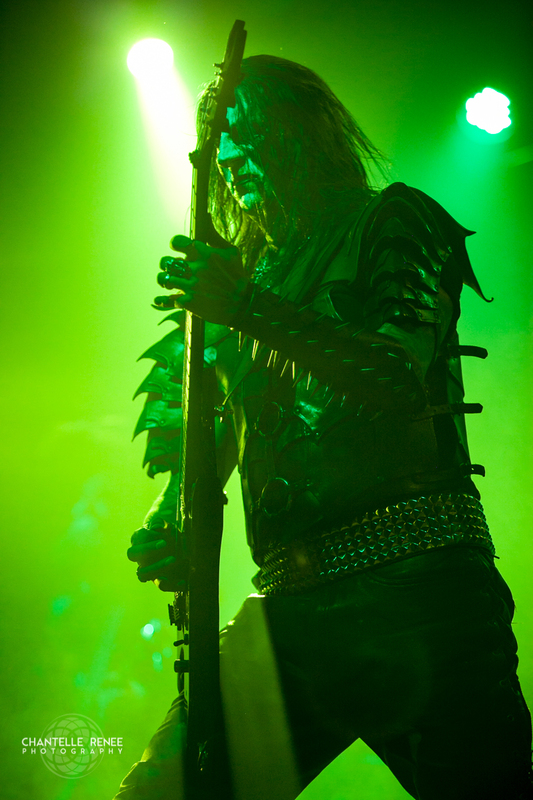 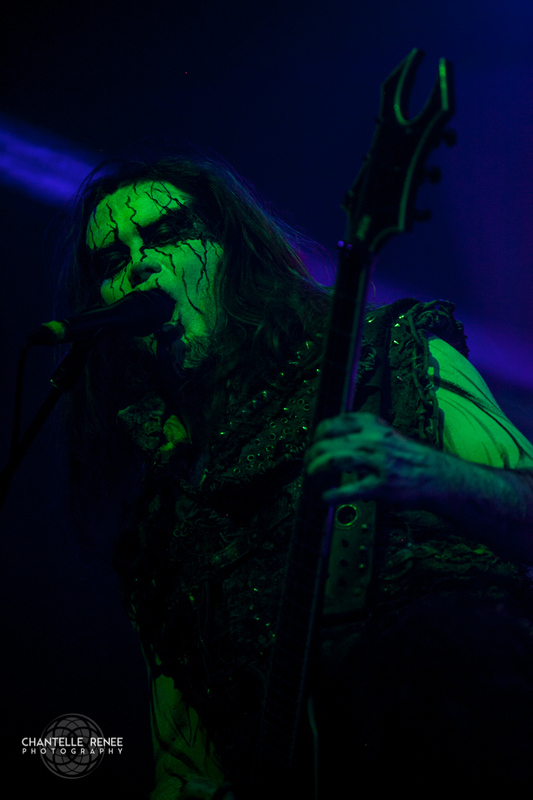 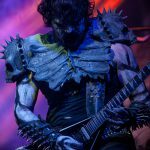 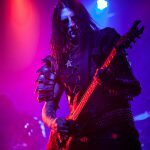 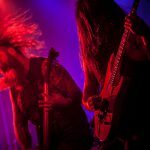 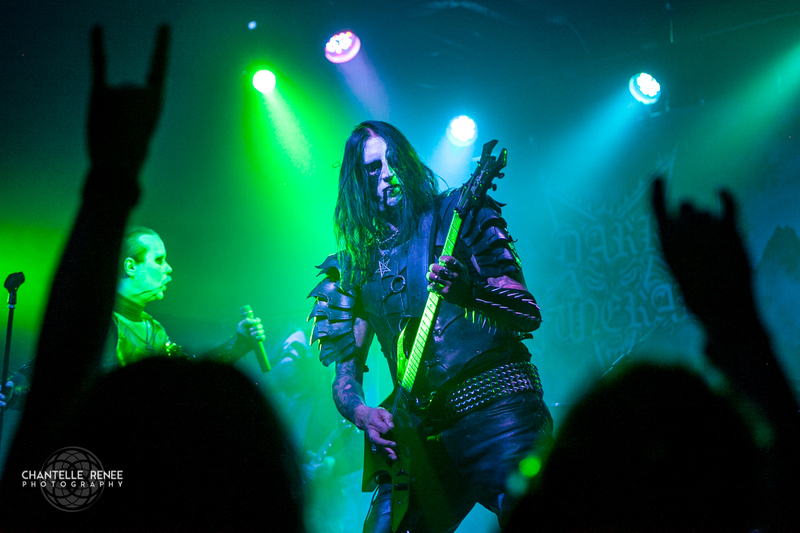 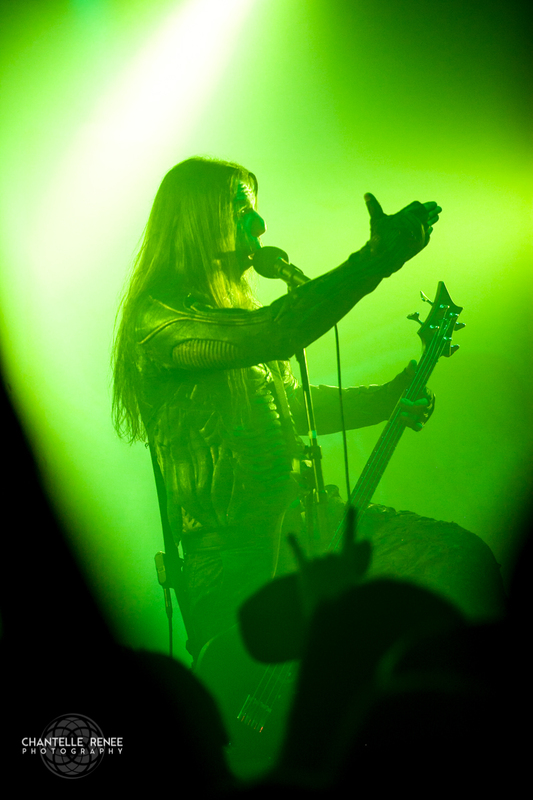 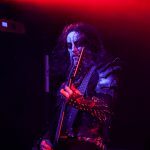 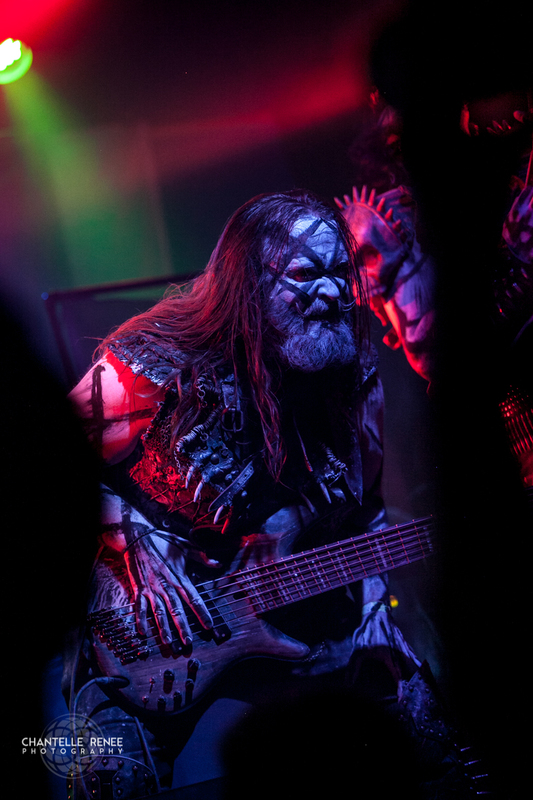 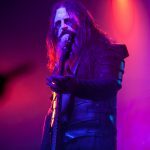 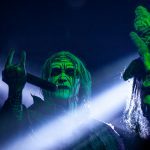 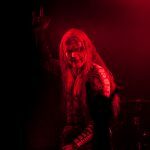 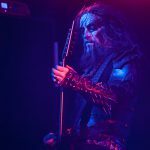 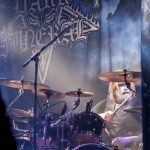 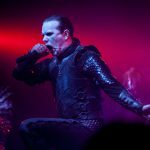 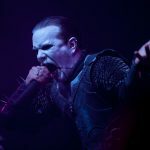 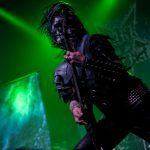 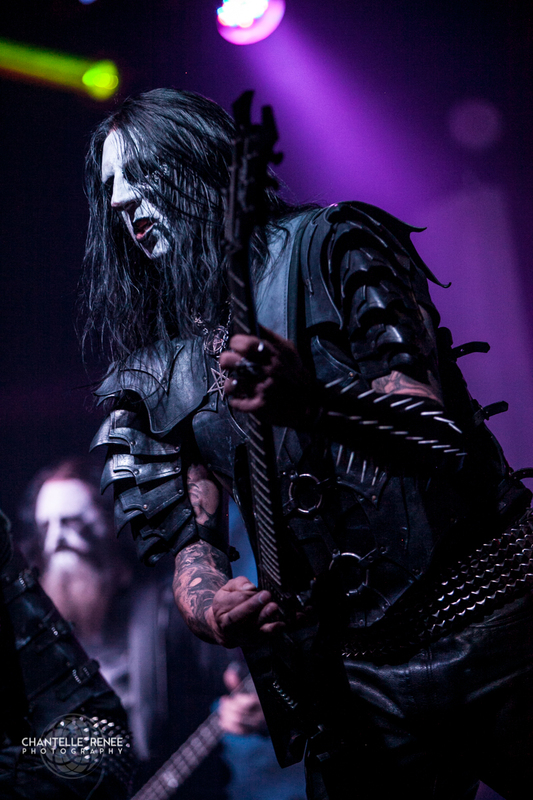 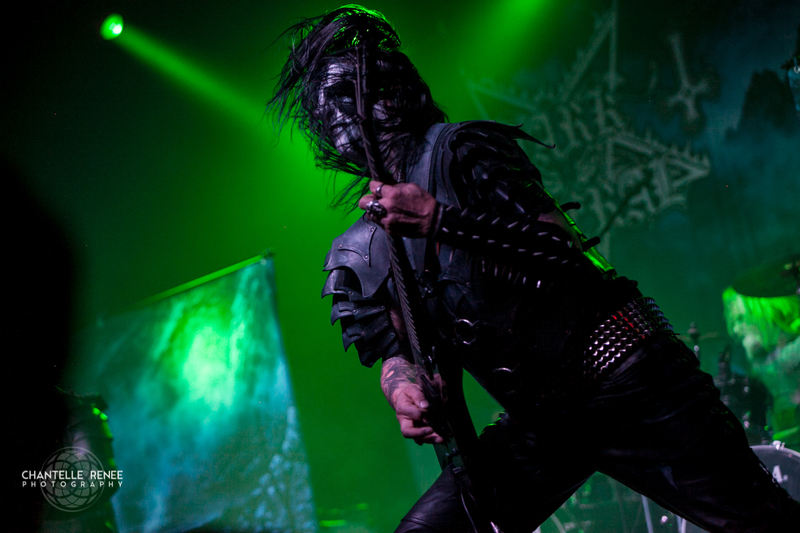 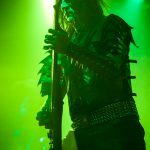 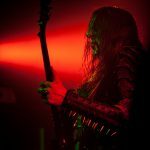 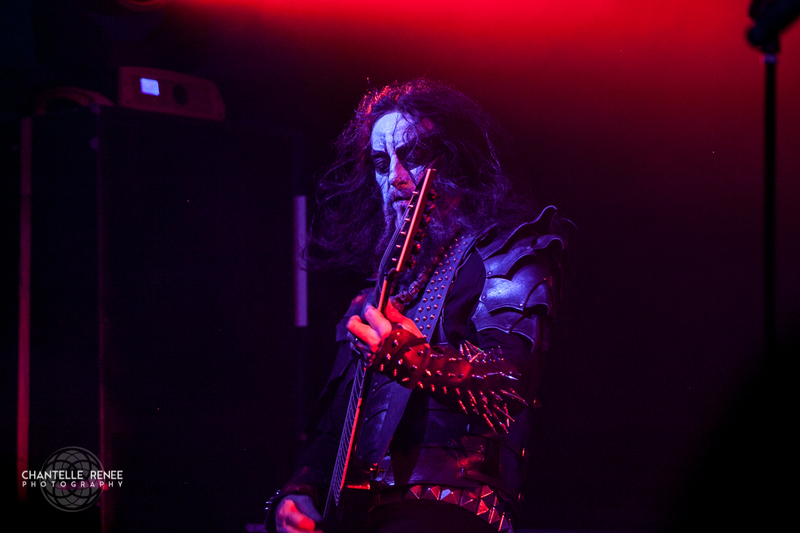 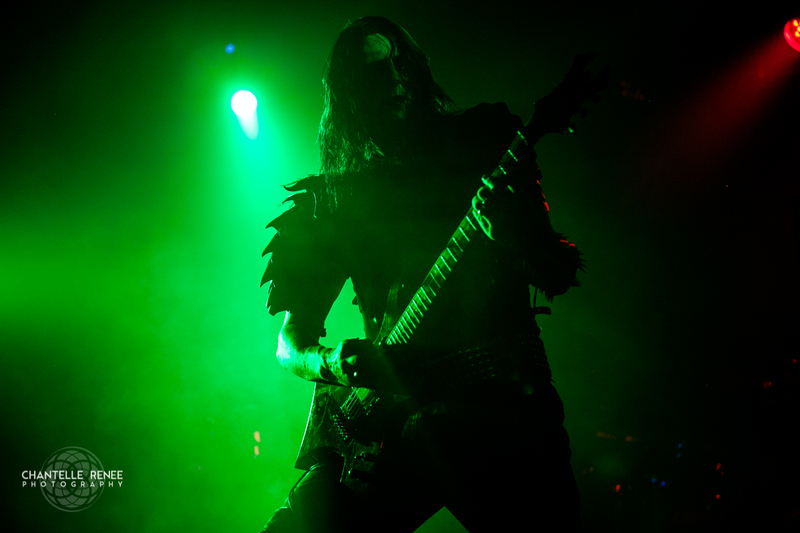 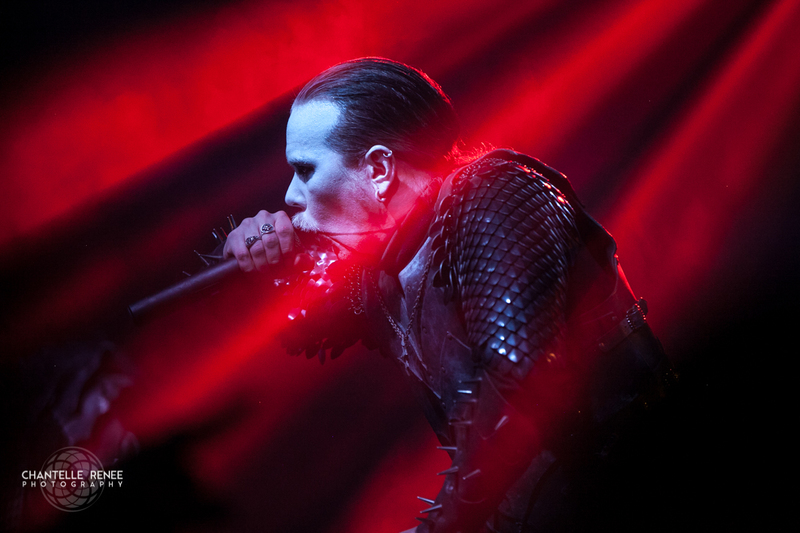 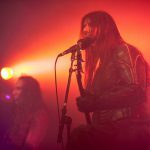 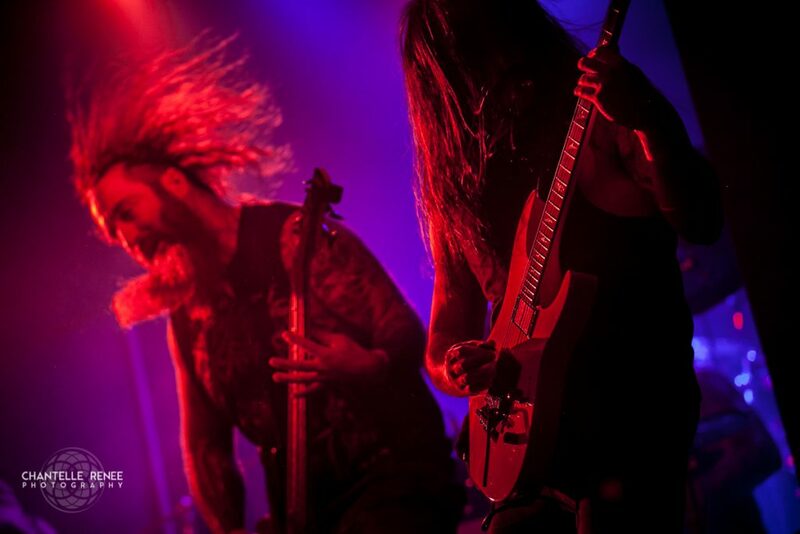 Where some bands rely heavily on high energy windmills and other stage antics, Dark Funeral need merely stand still as the impact from doing so is almost palpable. 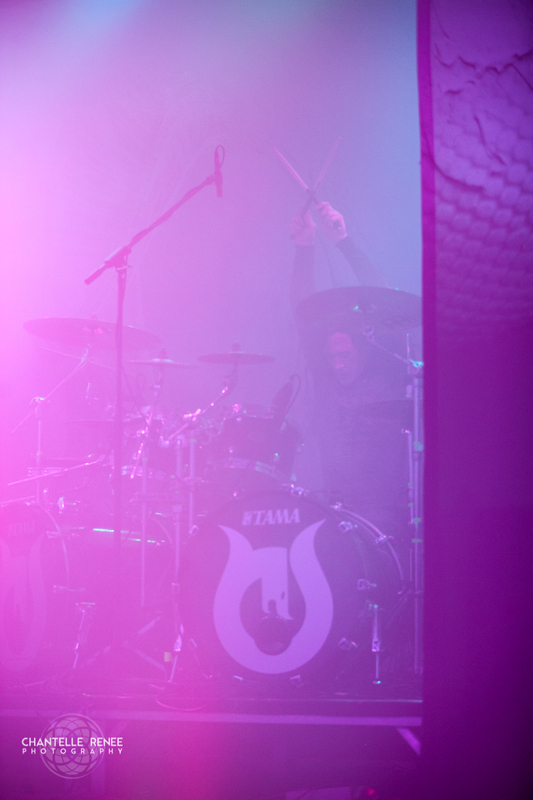 Unrelenting throughout the set, they played louder than the rest had that night, and as As I Ascend began, the tolling of the bells sounded so present it was as if the bells were hidden behind the stage. 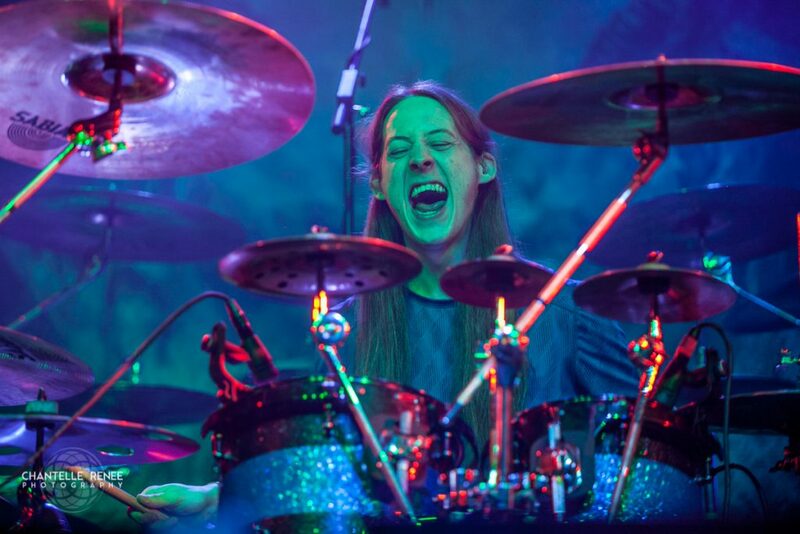 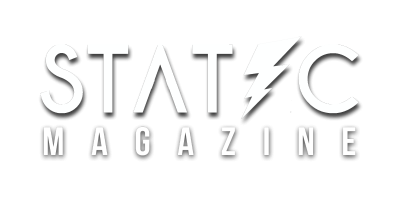 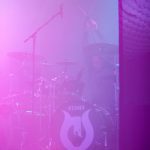 Though famed drummer “Dominator” is on hiatus from touring, the fill in managed to not only play the 280+ bpm songs accurately, it sounded as if he were playing even faster than the album and powerfully so. 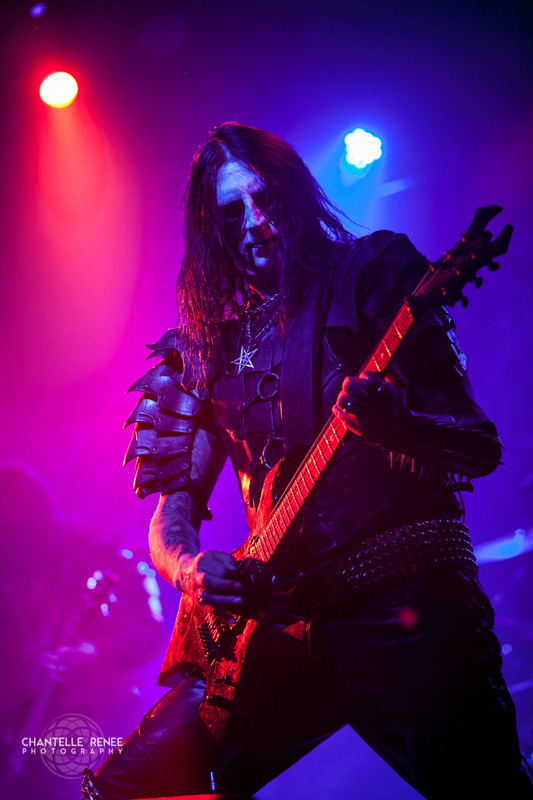 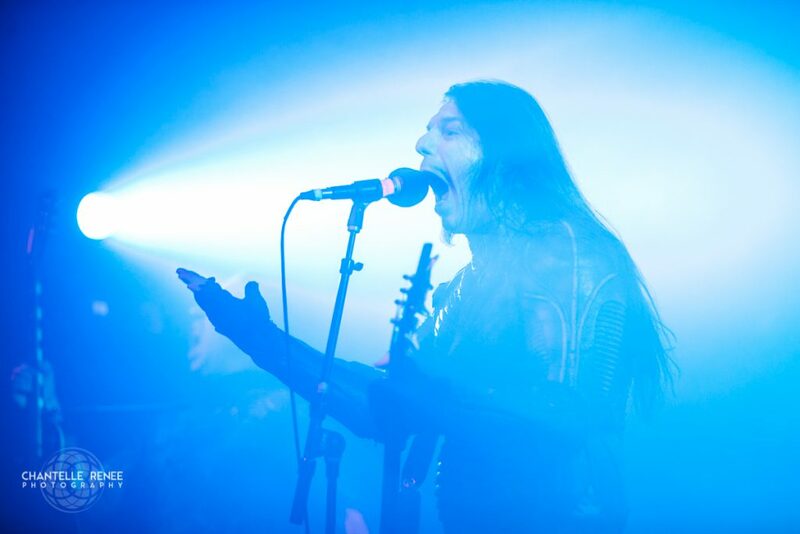 Near the end of the set, Heljarmadr held up a wooden upside down cross and spoke to the crowd in preparation for one of their fastest songs, Nail Them To The Cross, later closing out with their recent album’s epic finisher and title track, Where Shadows Forever Reign. 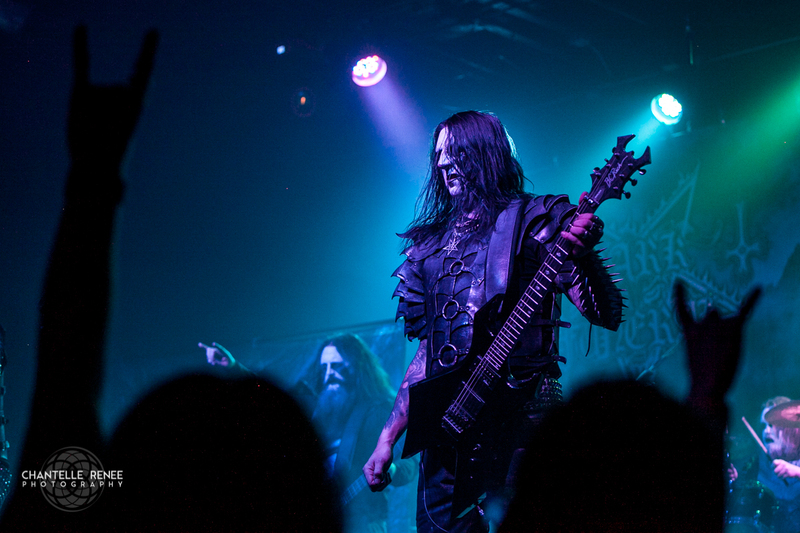 Hoisting a flag and pole bearing the Dark Funeral logo and pentagram sigil, Heljarmadr stood on the risers, waving it to and fro; Dark Funeral dominated the Rail Club, and there they stood, victorious. 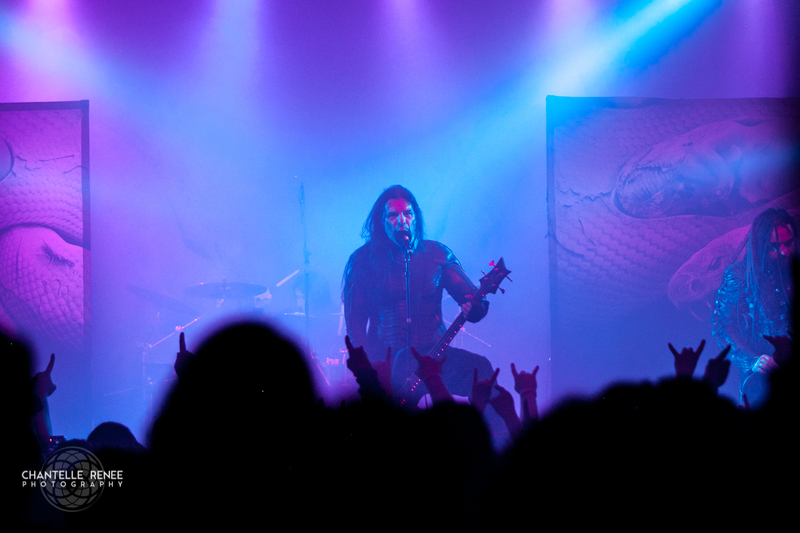 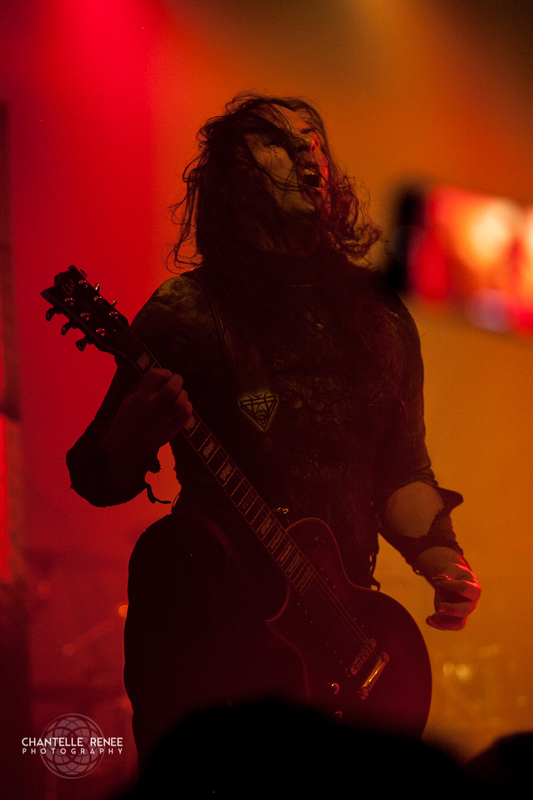 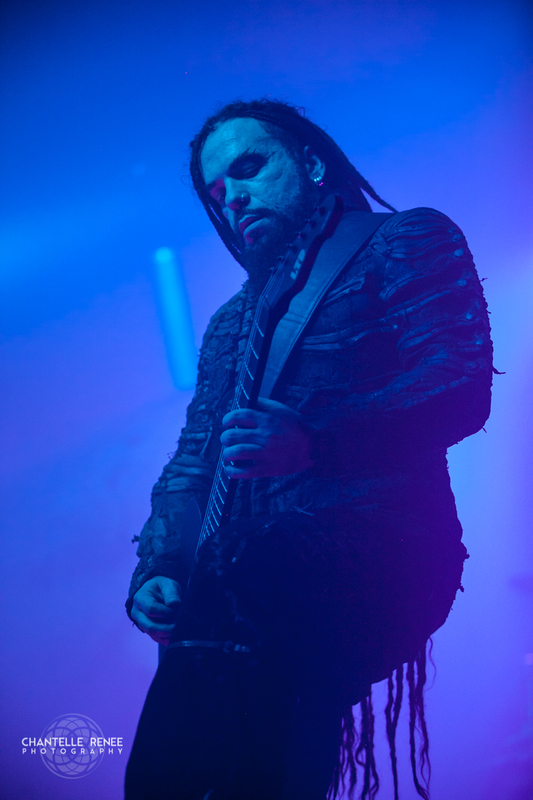 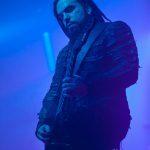 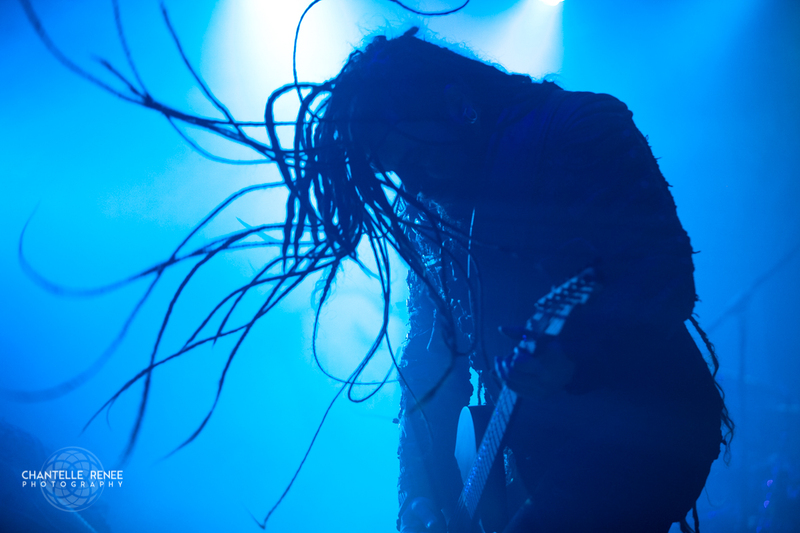 The headliner SEPTICFLESH was the final act to take the stage, covering the area from wall to wall with scrims and banners of the art from their latest album “Codex Omega”. 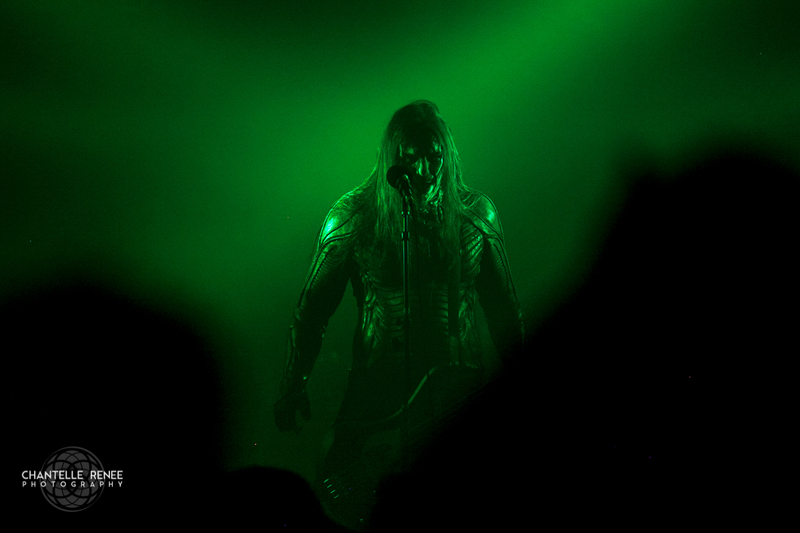 Snakes and humanoid oddities draped from the background as an orchestral introduction matched the flickering of lights hit for hit, and as the band took the stage in their muscle tissue-like armor, vocalist Seth Siro Anton maintained energy and hyped up the crowd through the entirety of their performance. 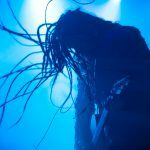 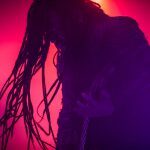 Toting heavy, haunting, razor sharp riffing and easily one of the more recognizable and evocative voices in the genre, Septicflesh pummels with their music and can send chills down the spine at the drop of a hat with piano driven orchestral melancholy. 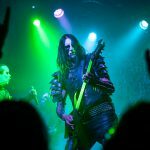 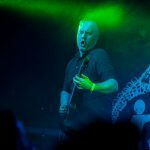 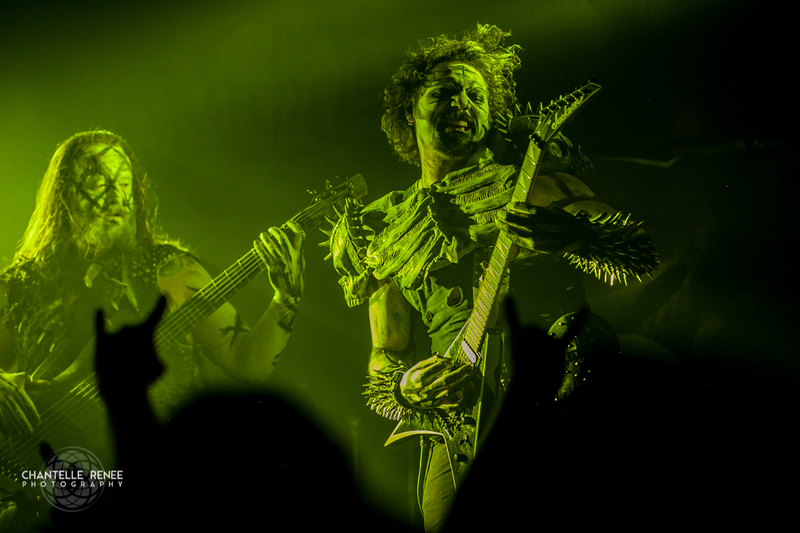 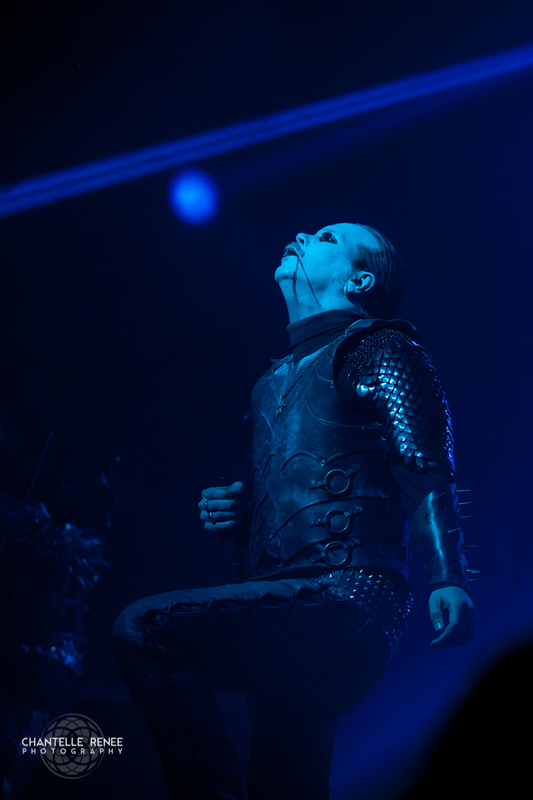 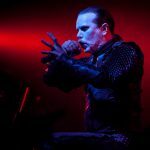 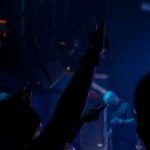 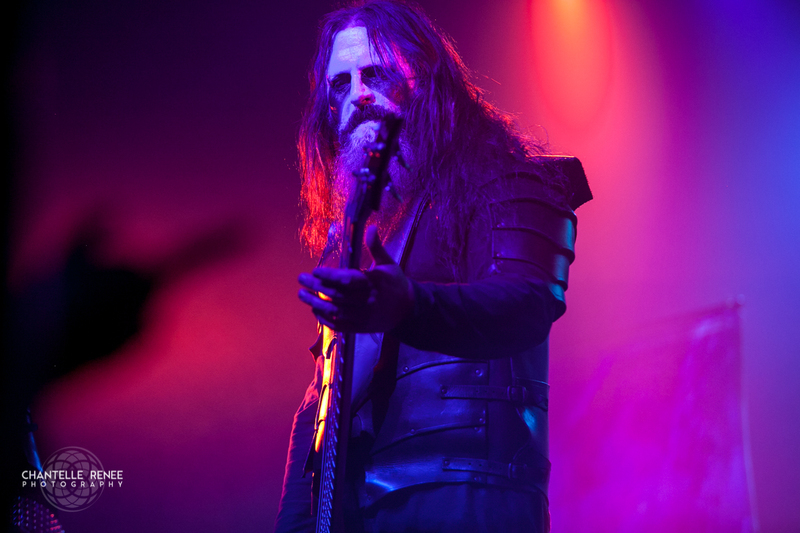 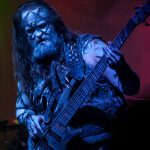 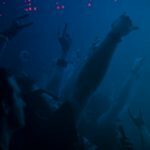 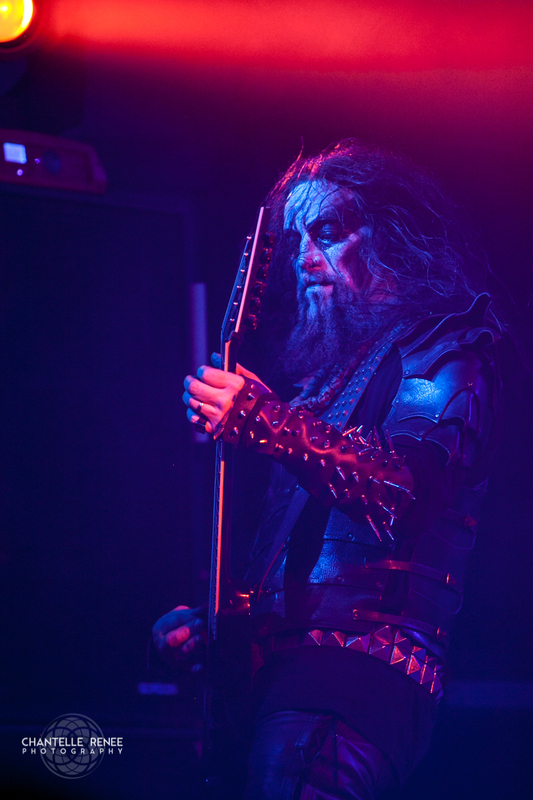 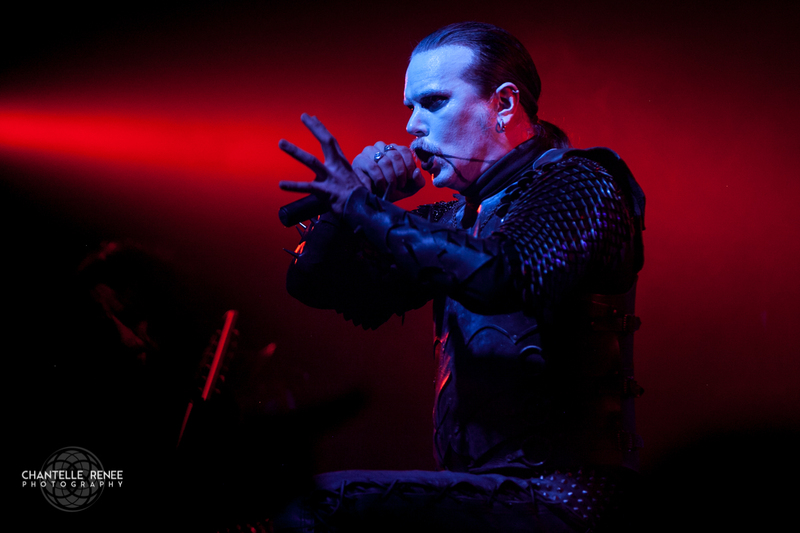 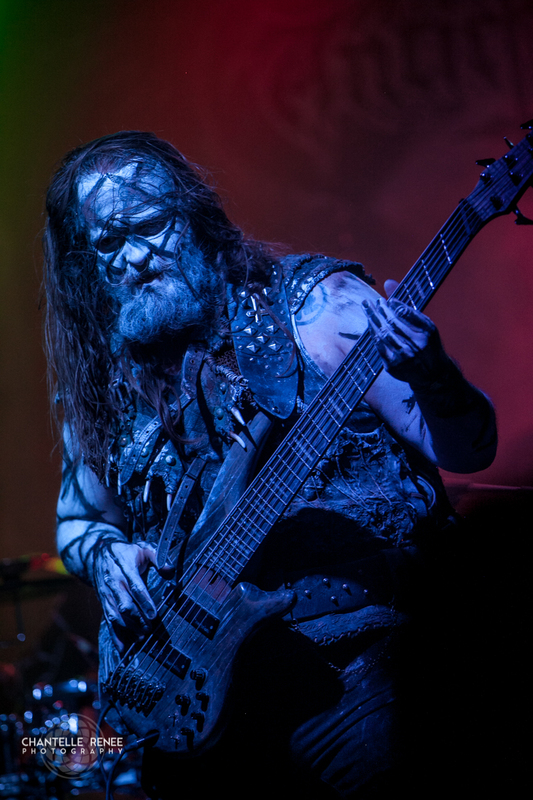 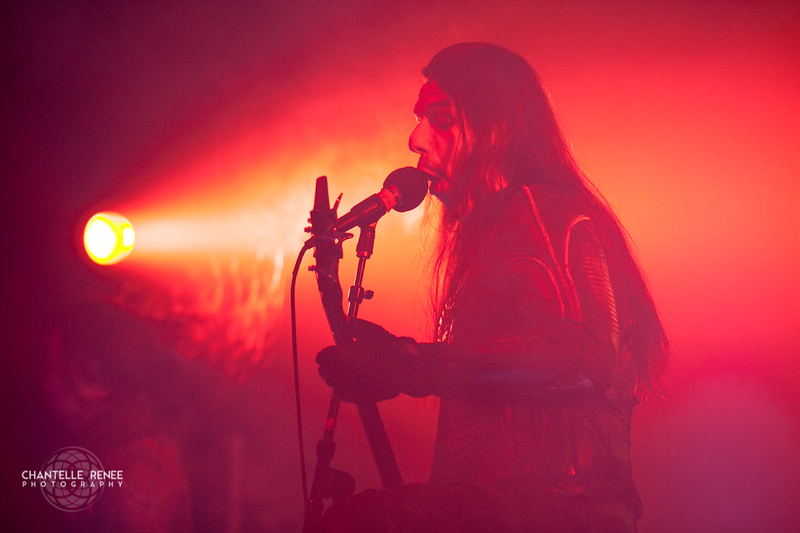 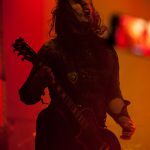 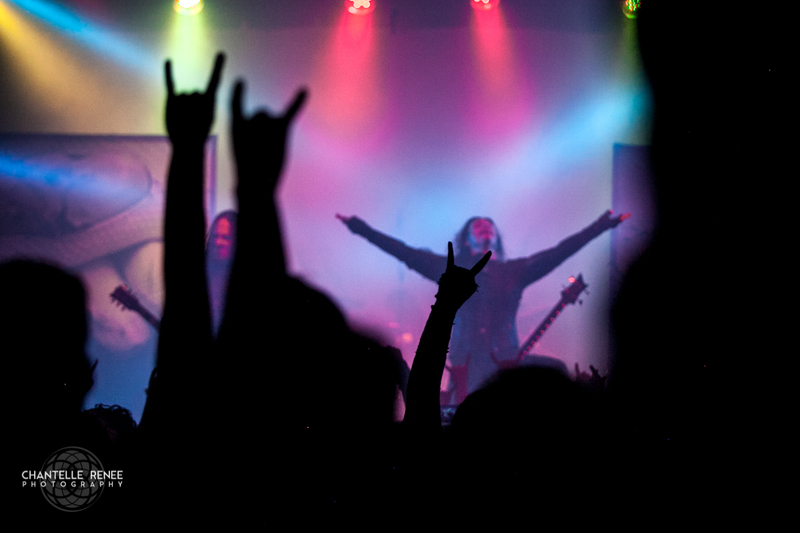 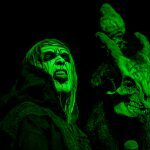 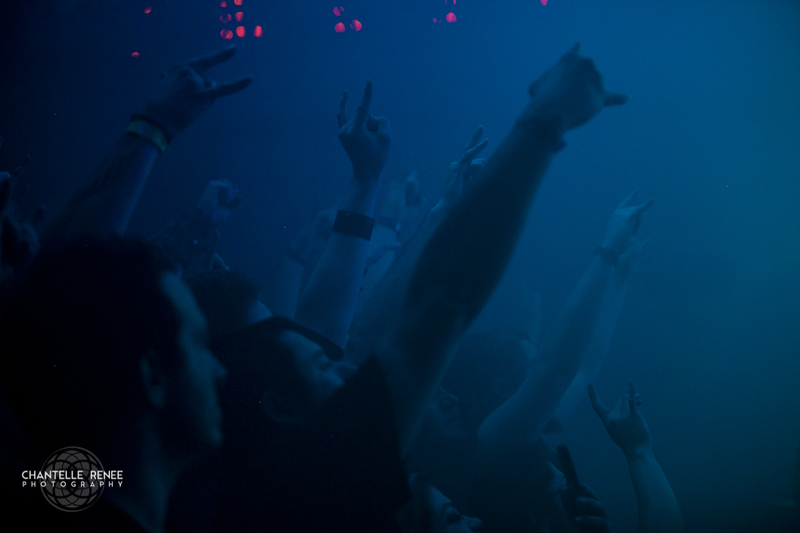 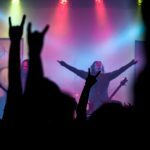 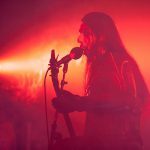 Nearly from the moment the performance began, a moshpit formed and maintained itself, and as colored smoke from the stage poured into the crowd, the venue’s atmosphere shifted from black metal to Lovecraftian. 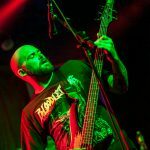 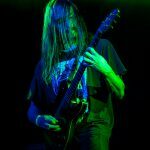 The ability to balance both the morose, melancholy moments right alongside the punchy and aggressive roar of death metal is a feat very few can accomplish, much less this theatrically. 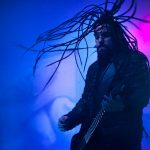 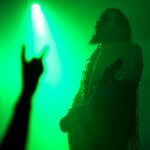 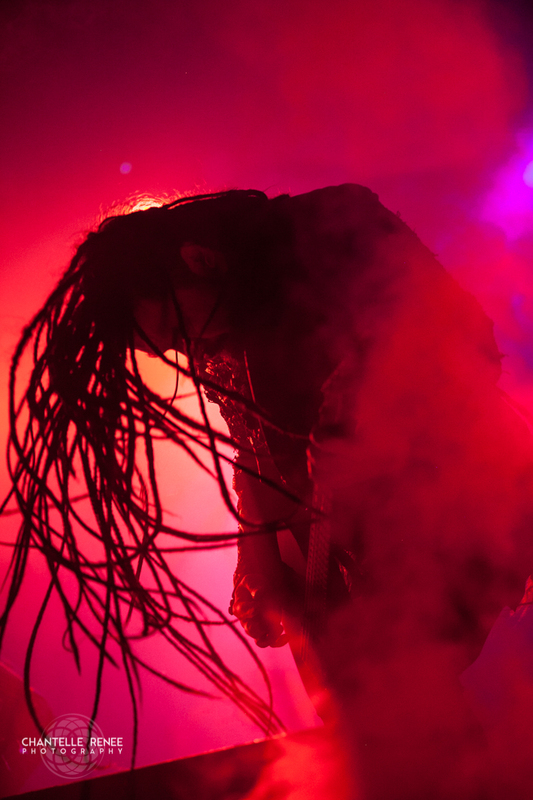 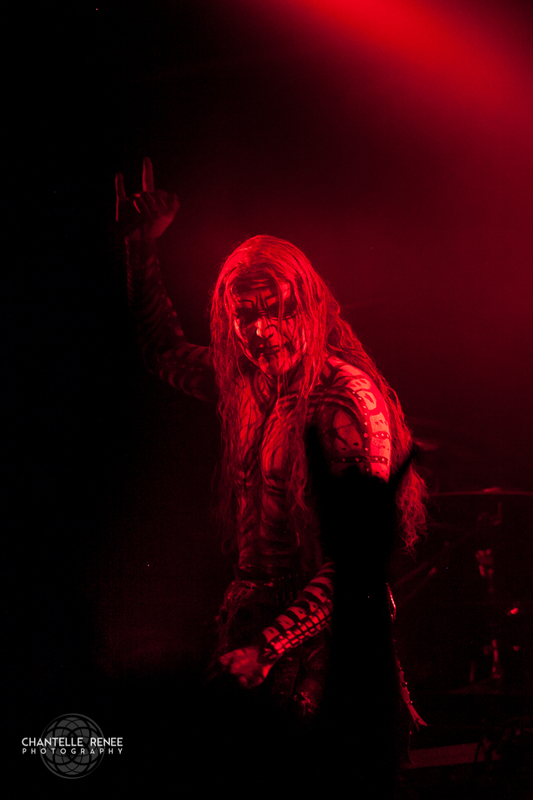 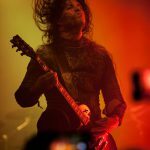 Septicflesh stands a head above the majority of orchestral, theatrical death metal acts with not only their exceptionally unique sound but the execution as well.